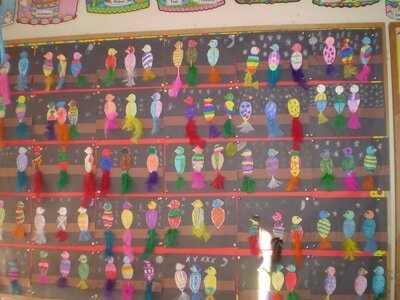 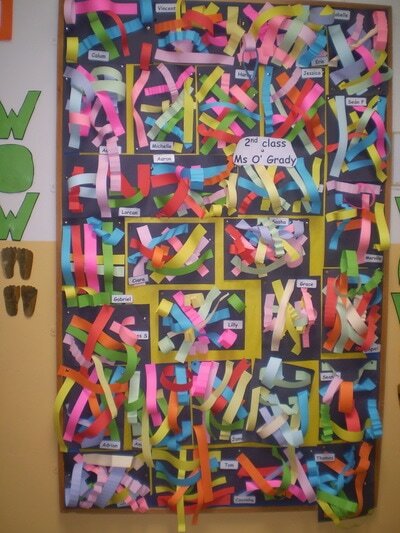 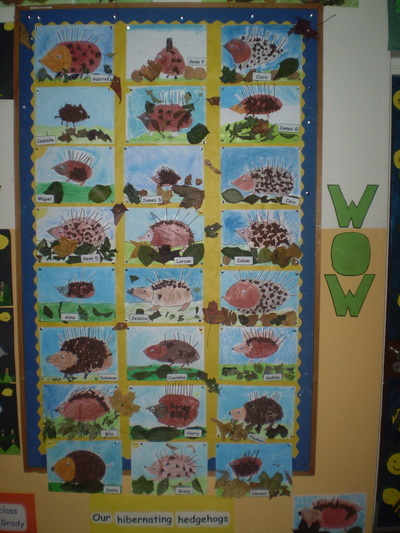 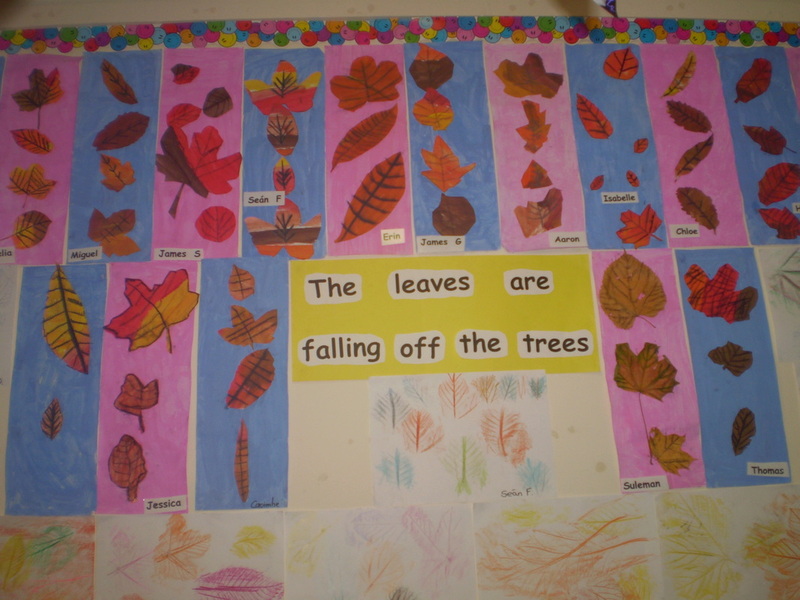 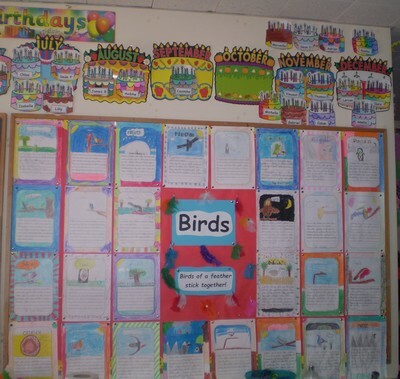 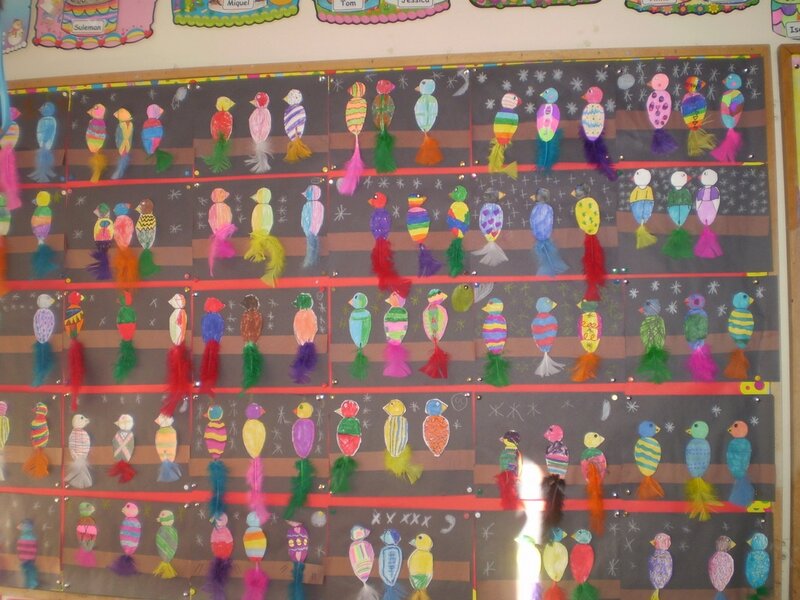 Look at some of our art work! 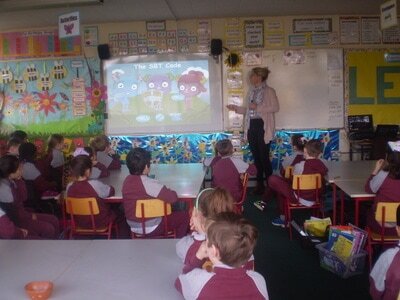 We were very lucky to welcome Mrs. Daly in to our class. 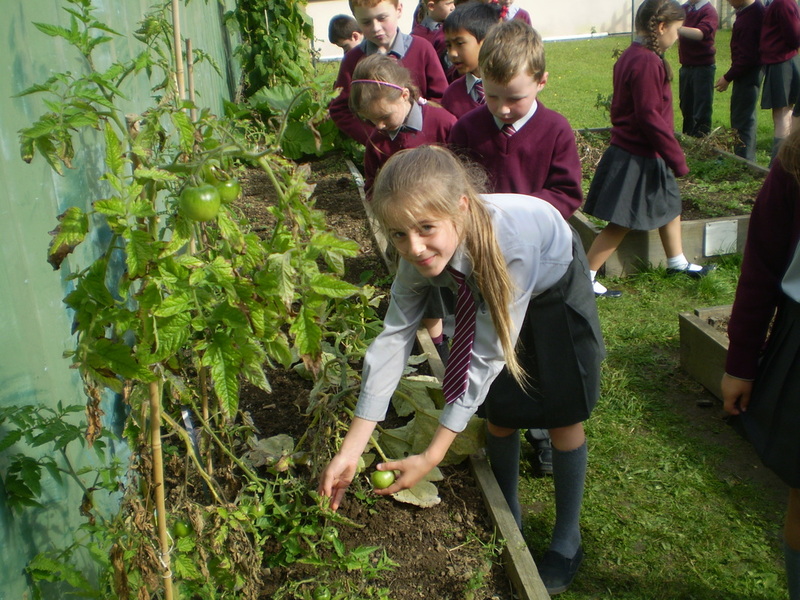 She very kindly brought us out to visit the school garden. 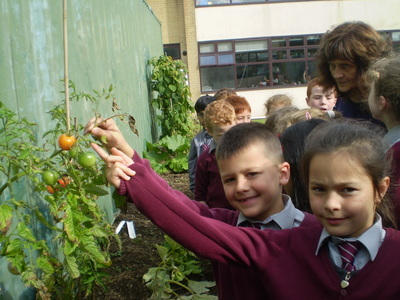 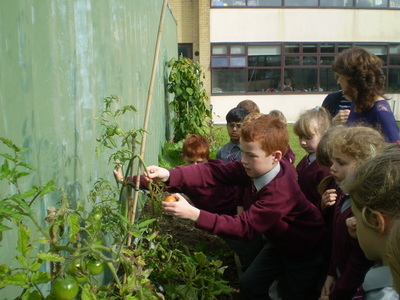 We looked at all the vegetables and flowers that are growing. We picked some tomatoes and carrots. 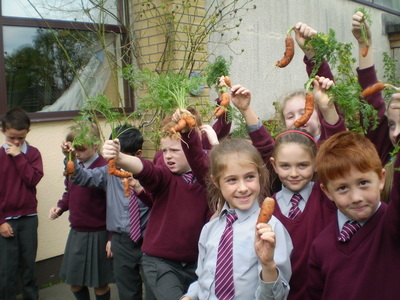 The carrots were washed and sliced and we all got to have a taste. They were yummy! 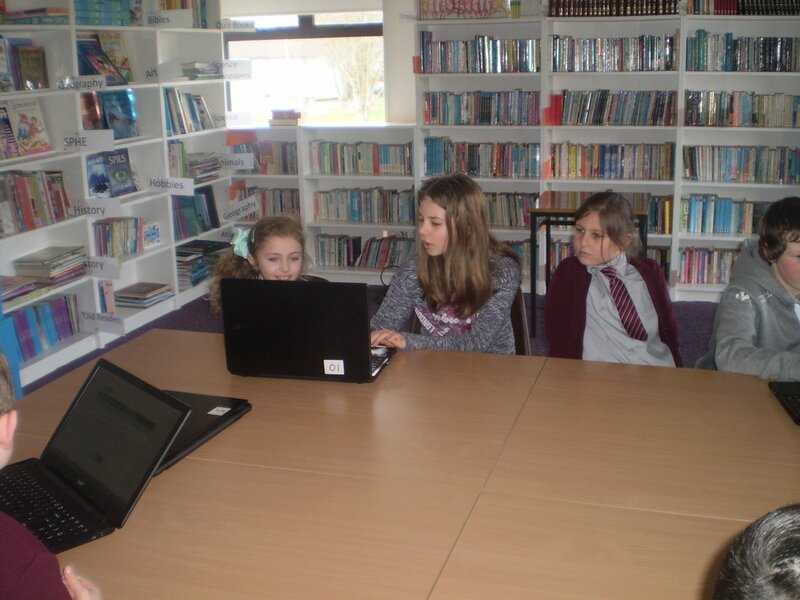 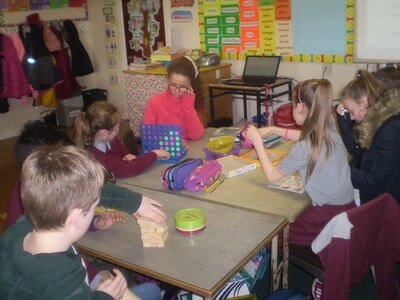 We had great fun celebrating Maths Week this year. 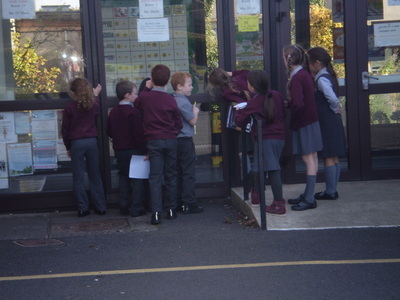 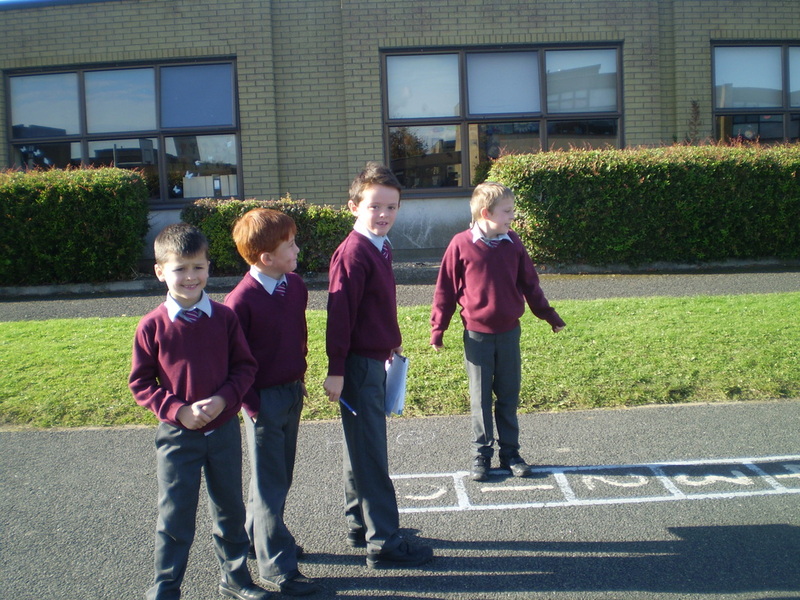 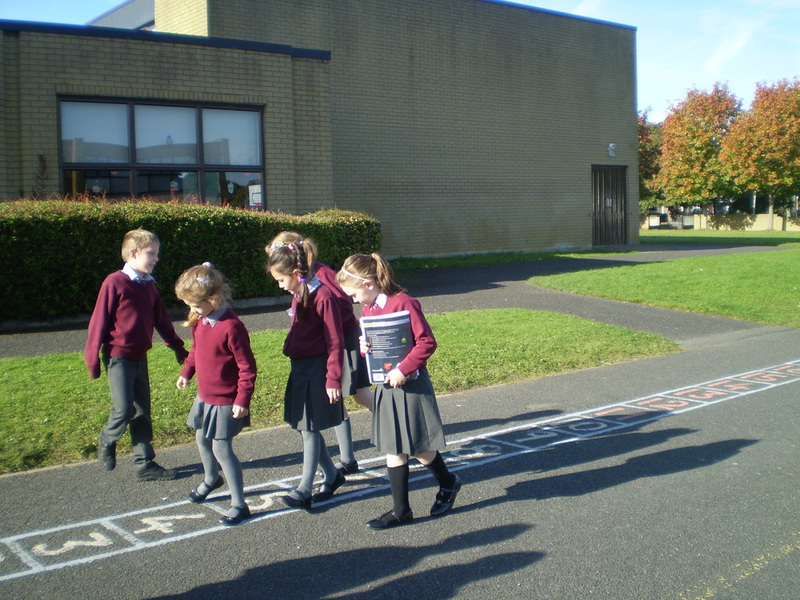 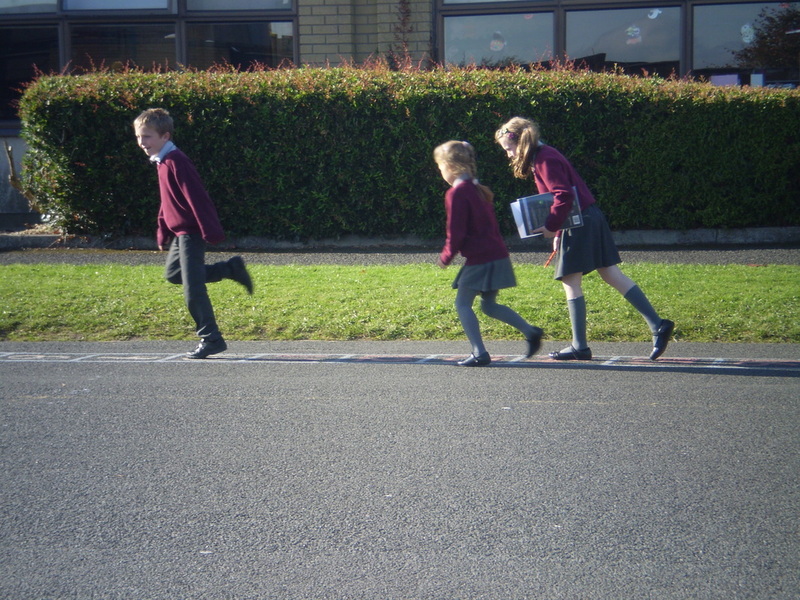 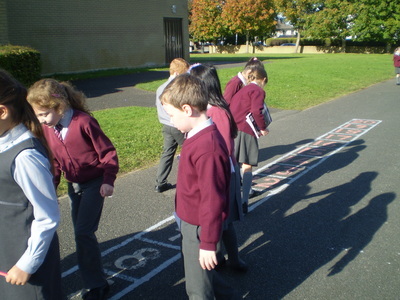 We went on a maths trail which we really enjoyed. 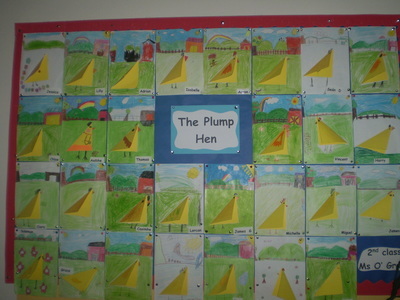 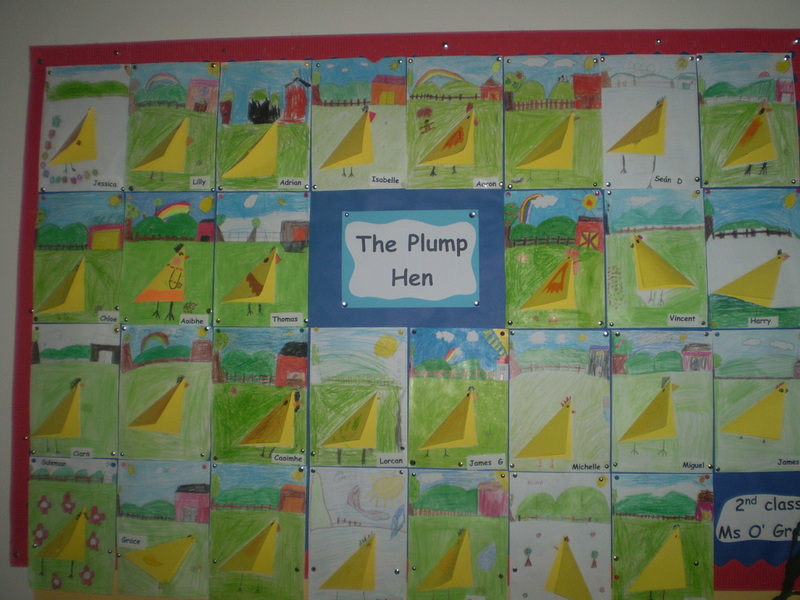 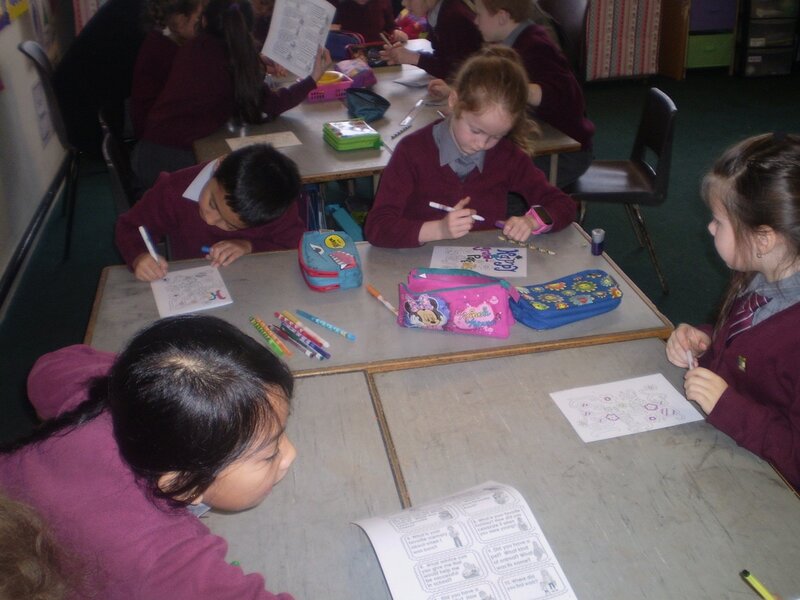 We also made maths posters and we played some fun maths games. 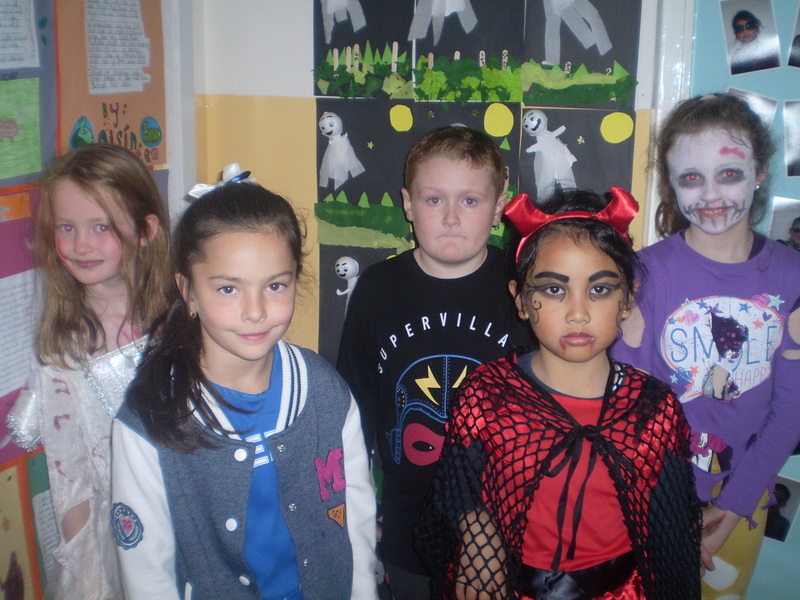 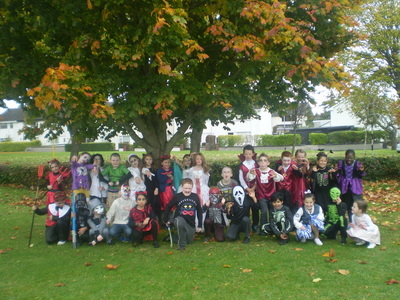 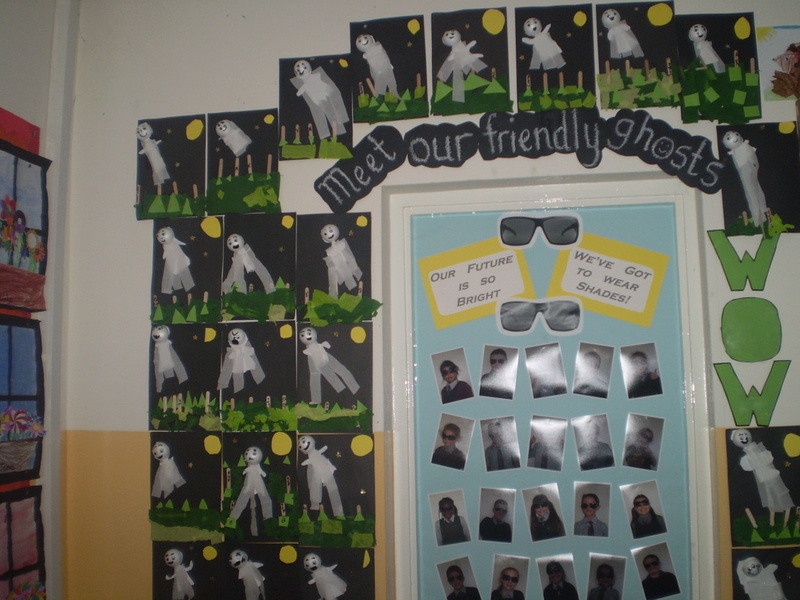 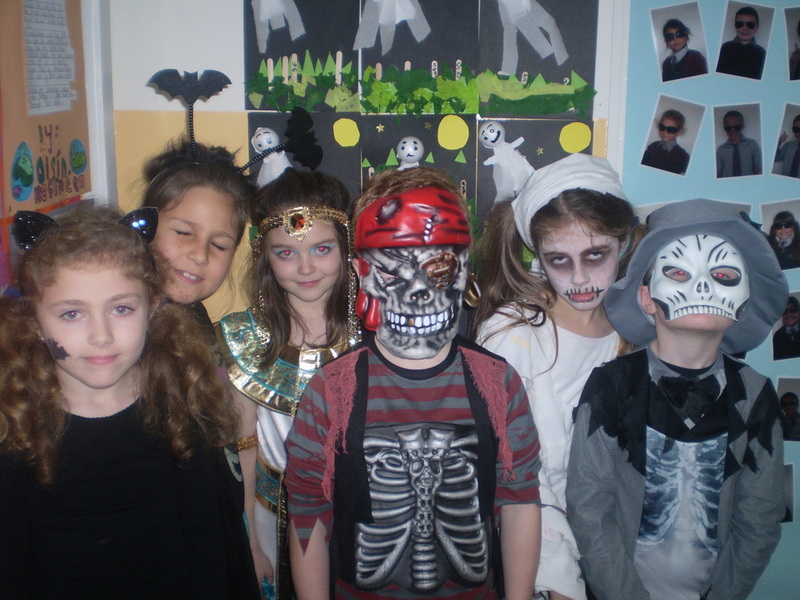 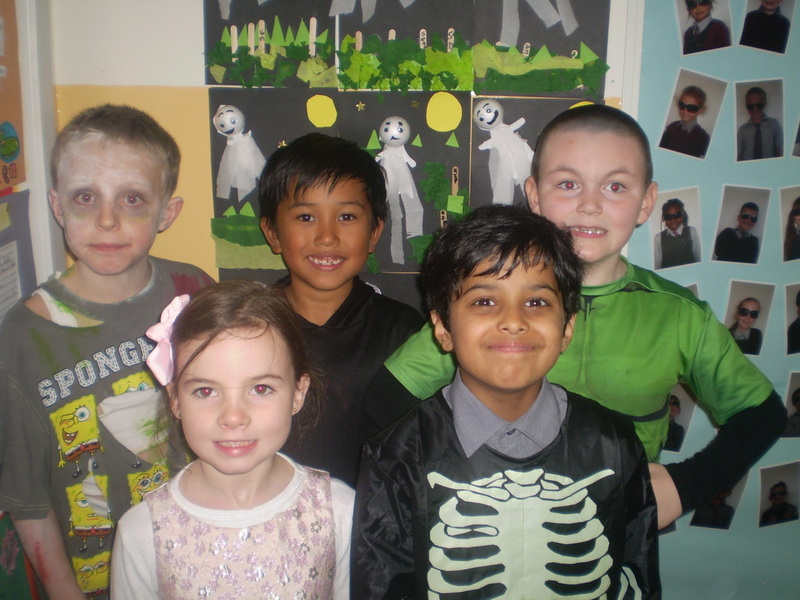 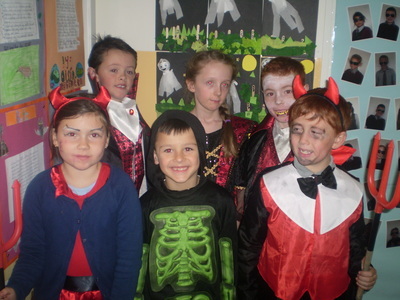 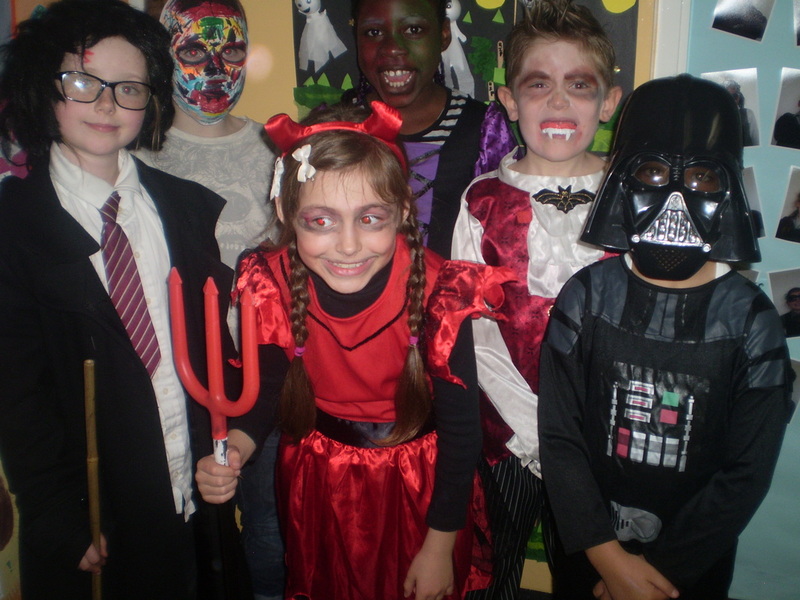 Well done to all the boys and girls who made a spectacular effort to dress up for Halloween in our class! We had a really enjoyable and fun day! 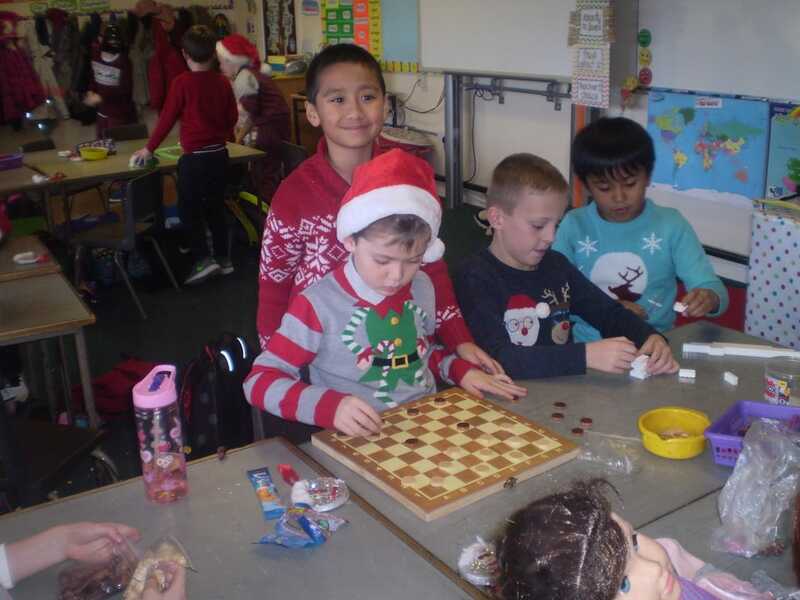 The children have worked so hard this term. 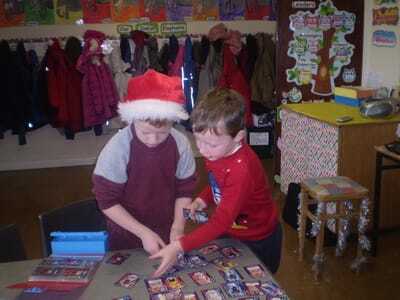 We really enjoyed practising for our Christmas play. 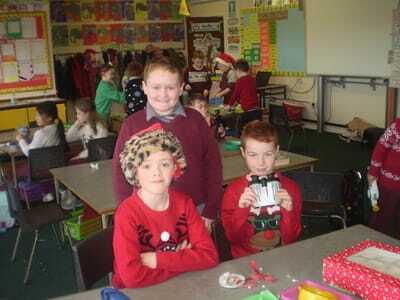 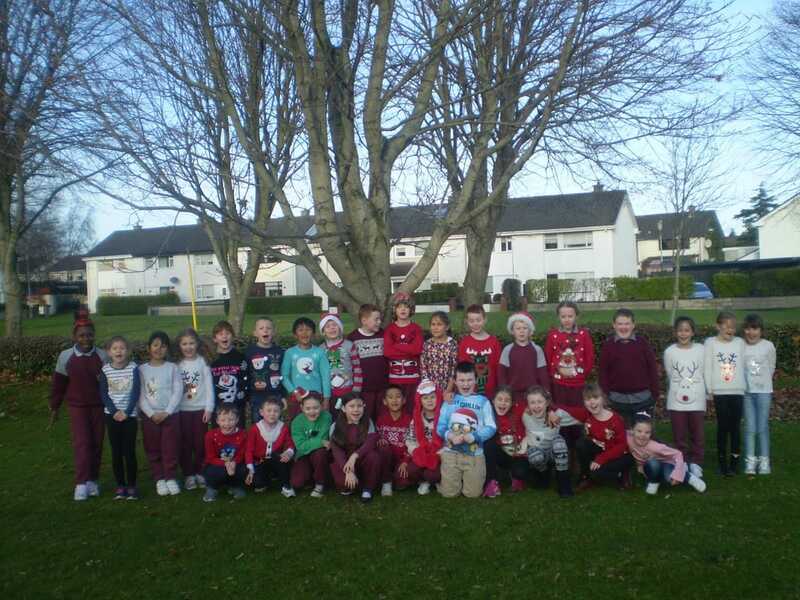 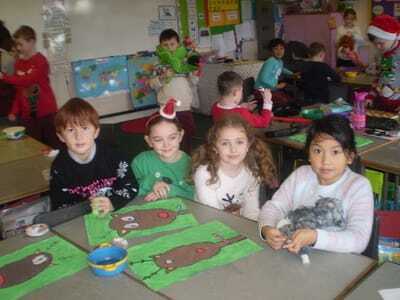 They had great fun on the day of the holidays where they were allowed to wear their Christmas jumpers to school. 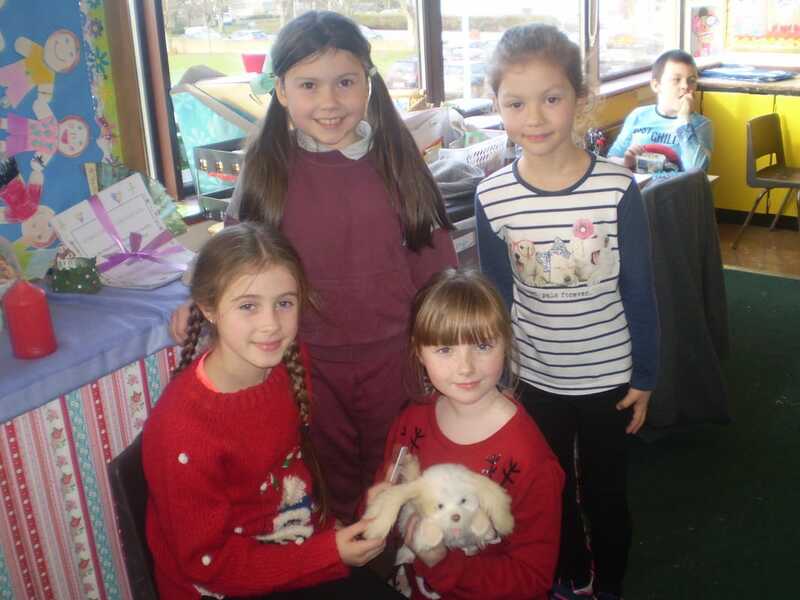 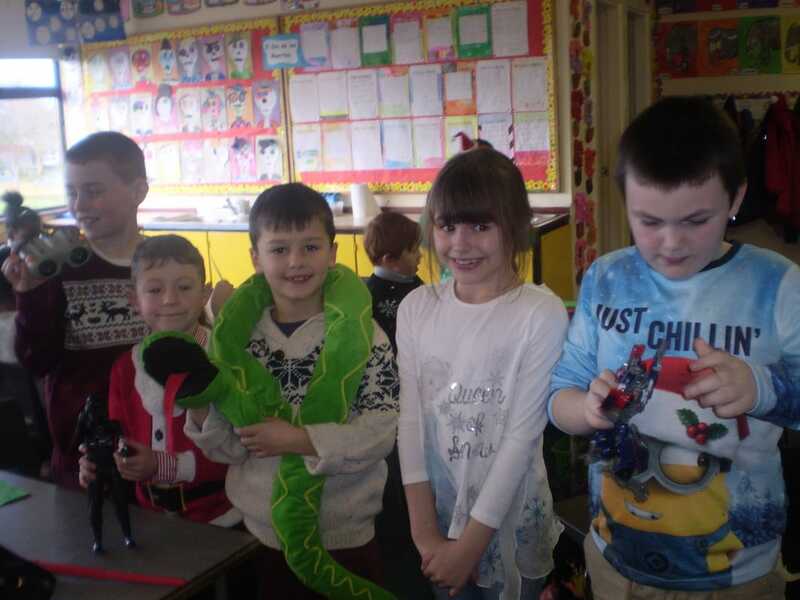 We had a lovely party and loved playing with our favourite toys and our friends. We wish everyone a very Happy Christmas! 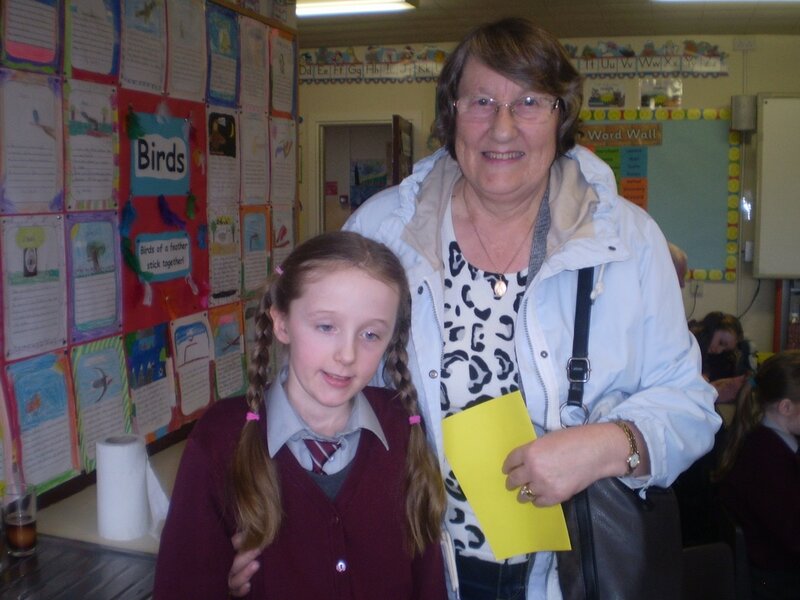 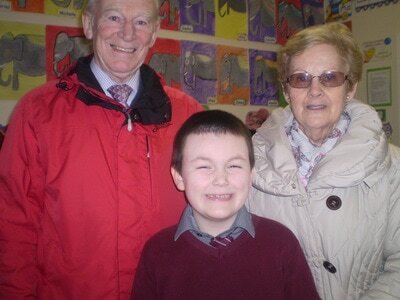 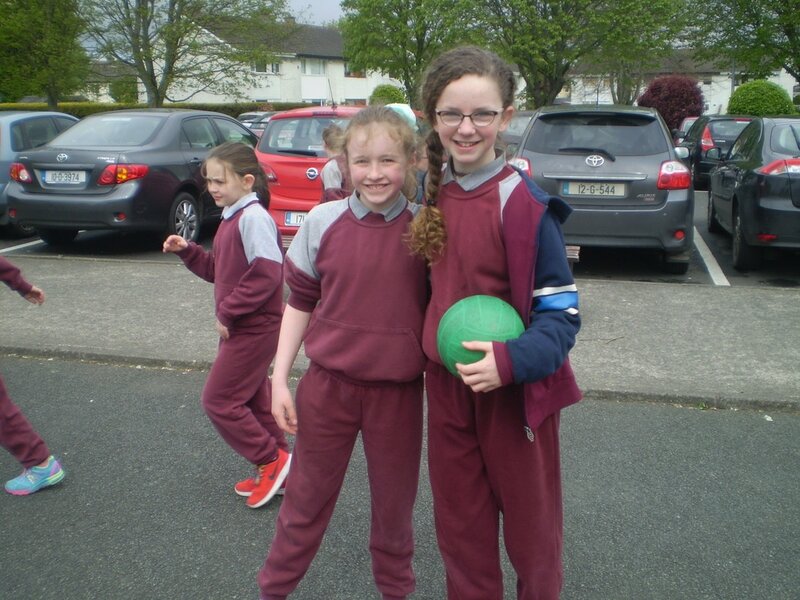 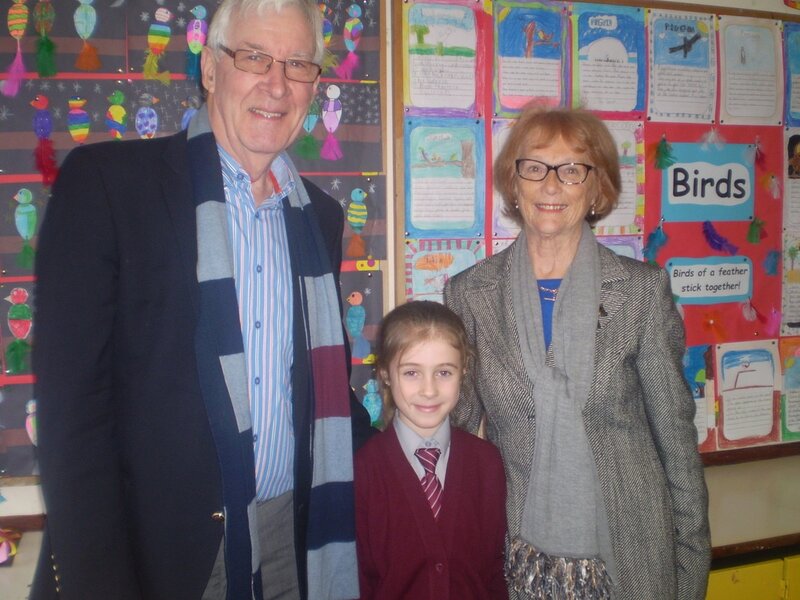 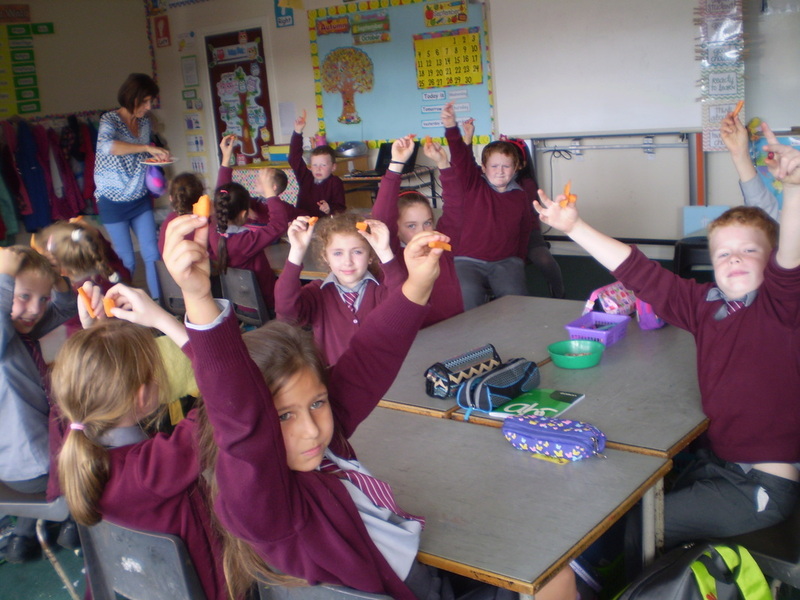 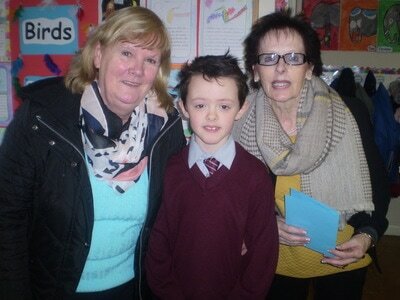 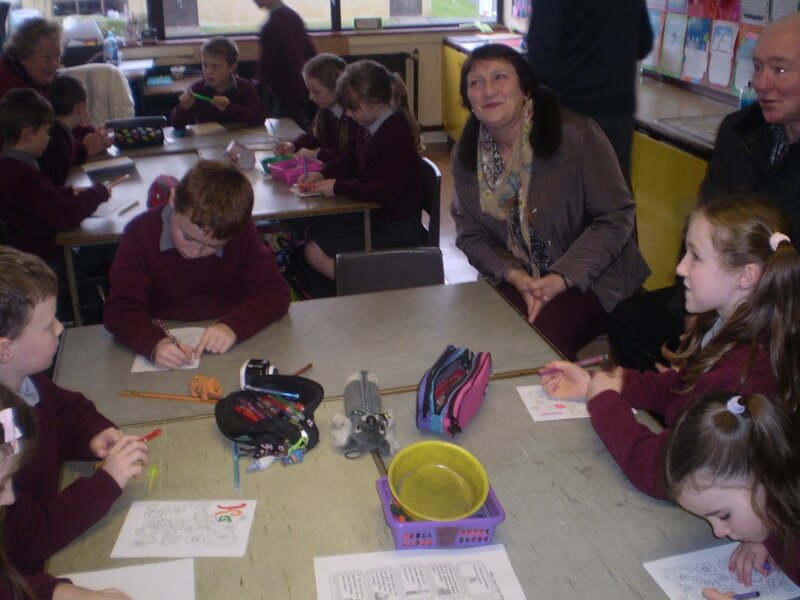 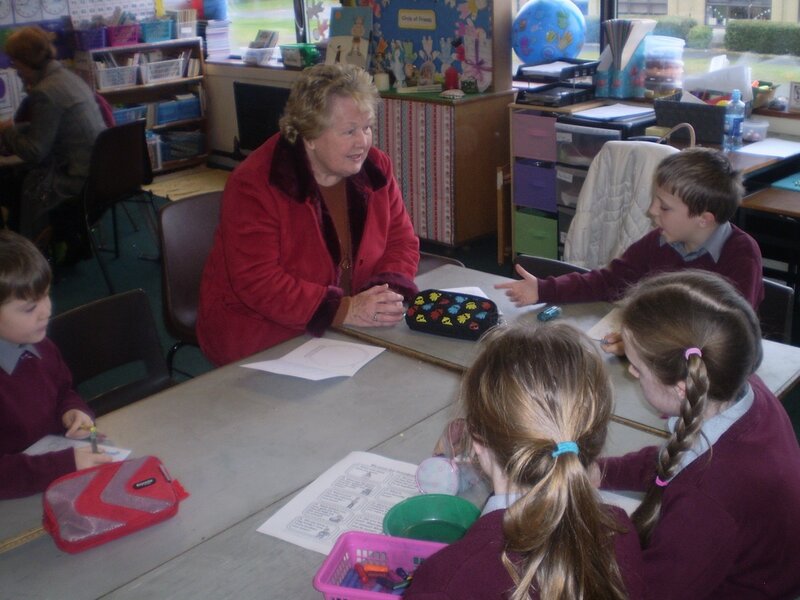 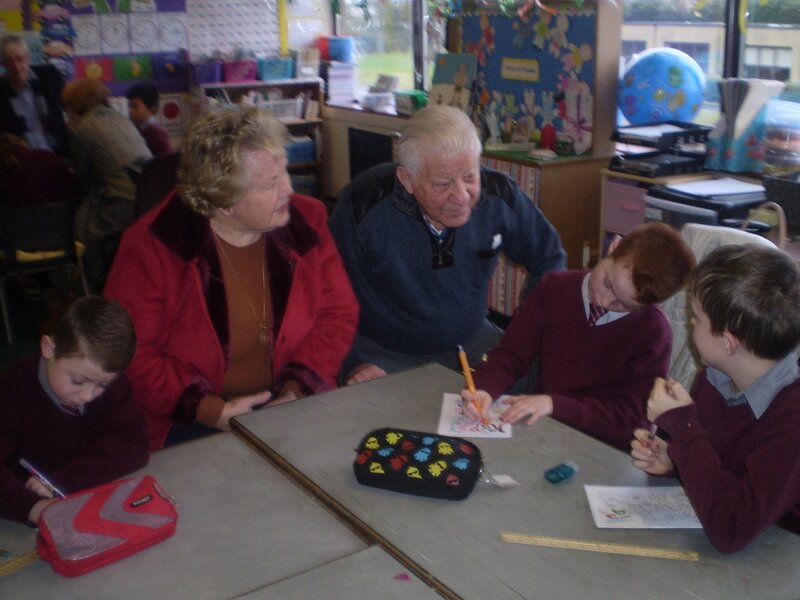 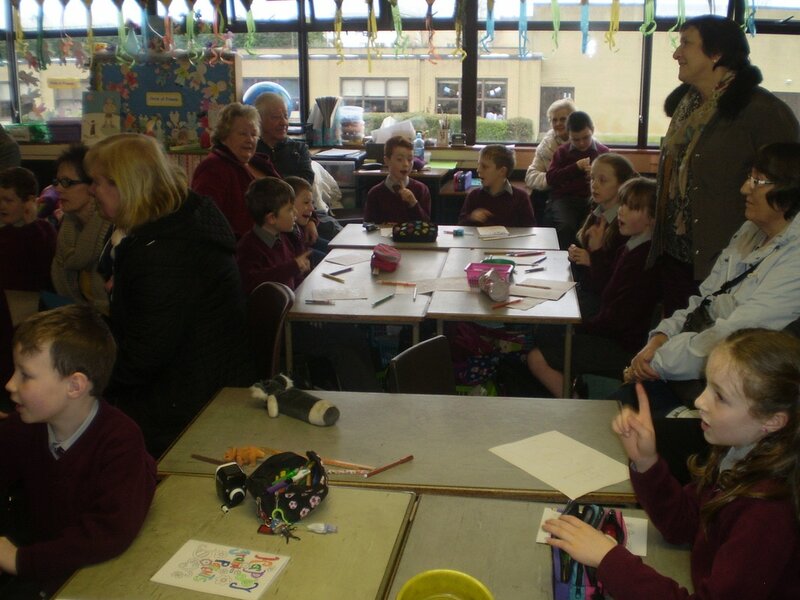 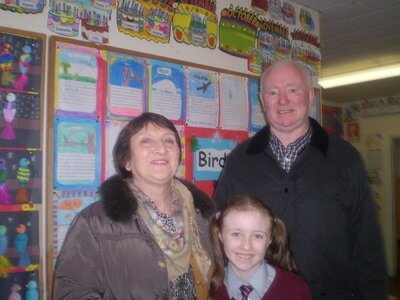 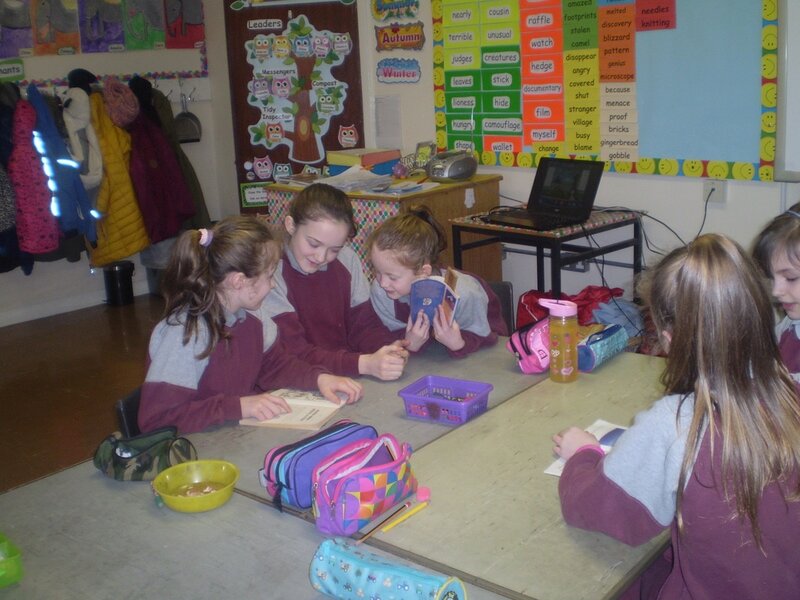 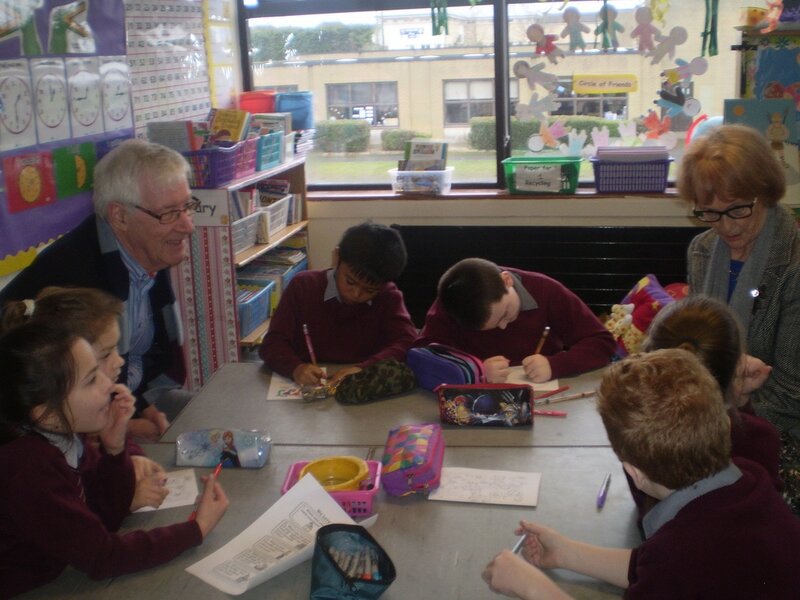 Grandparents' Day was a great success in Scoil Mhuire. 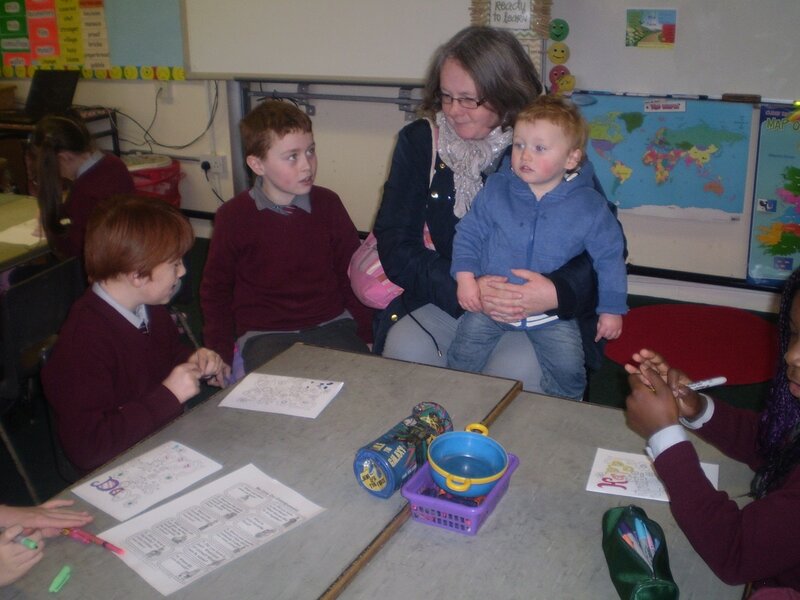 We loved having them visiting our class. We enjoyed listening to all the stories from when our Grandparents' were young. We had lots of questions for them. 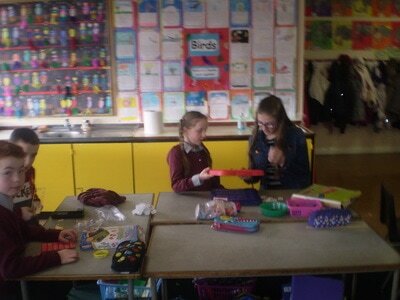 We made them thank you cards and then had a lovely prayer service in the hall. 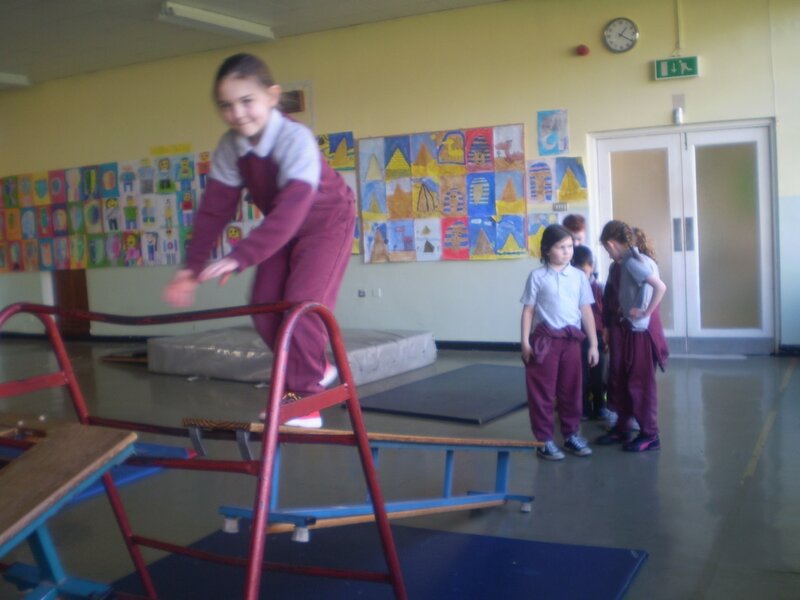 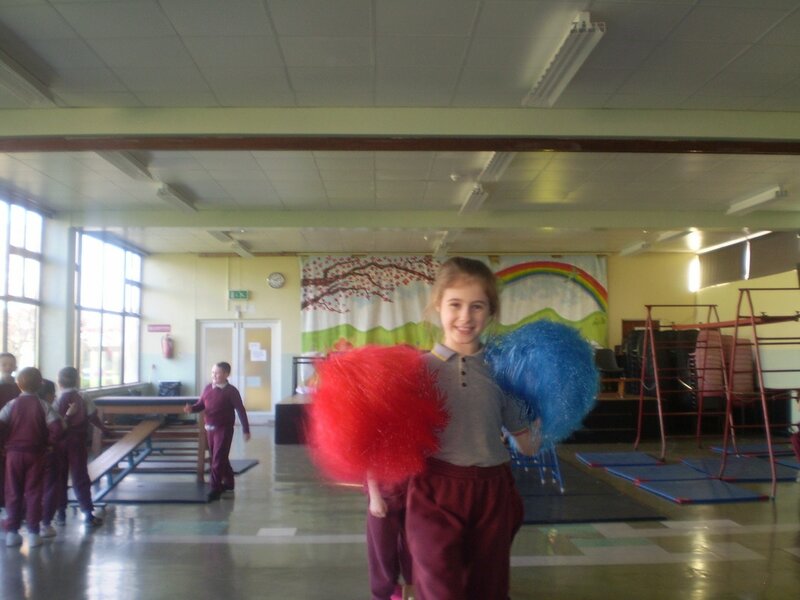 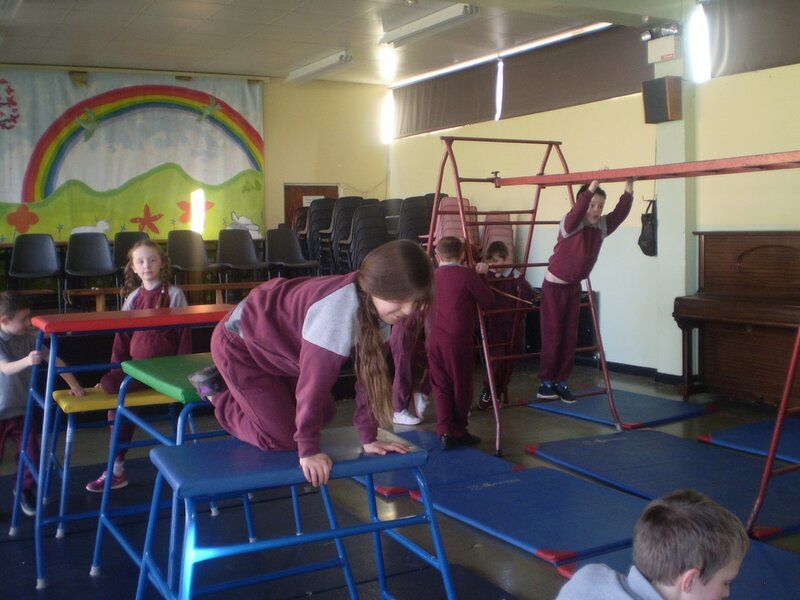 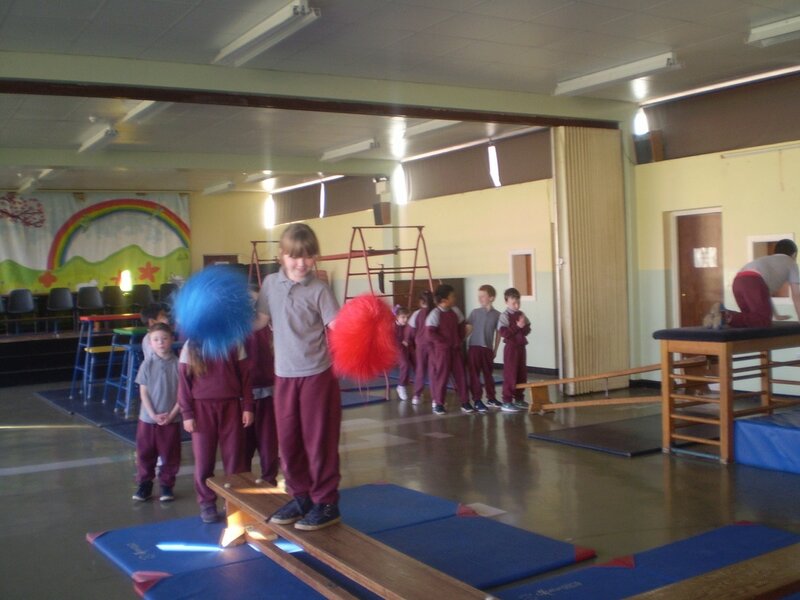 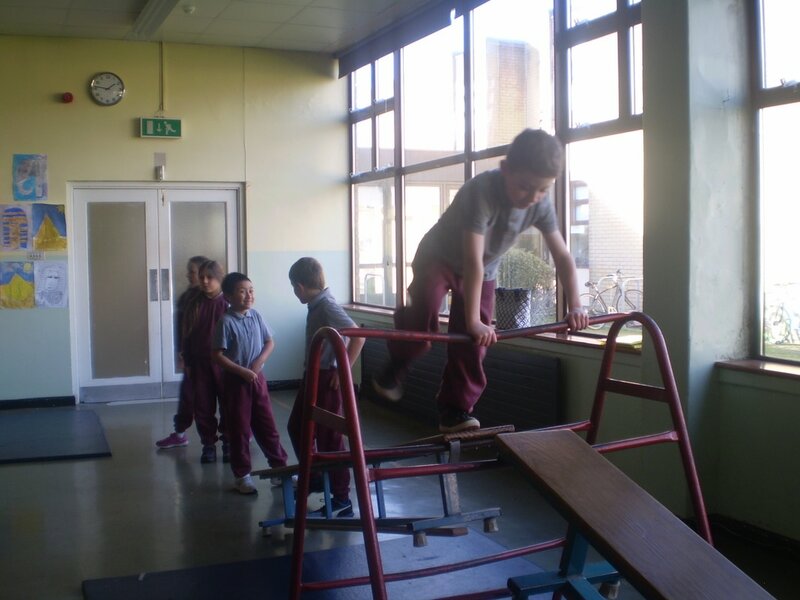 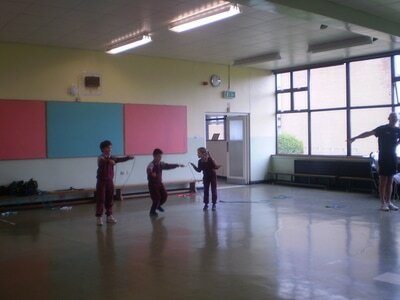 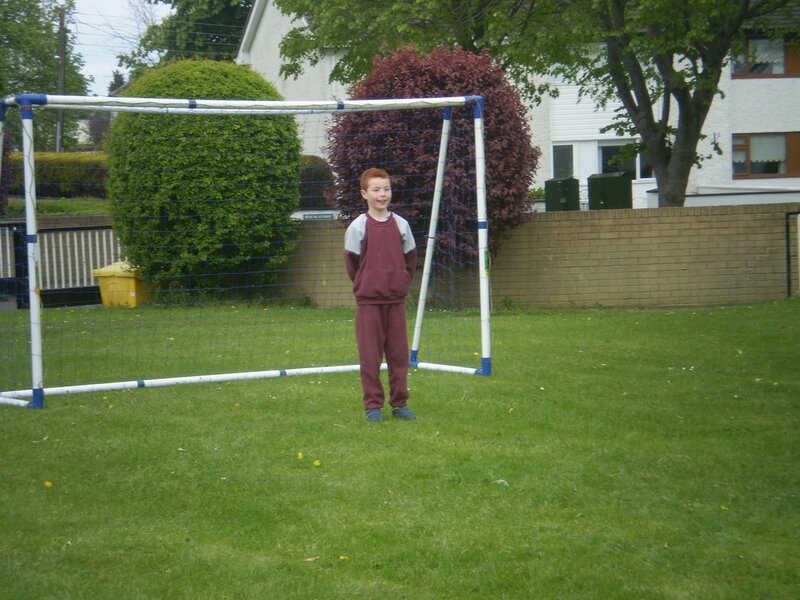 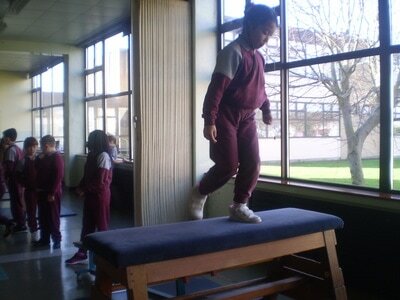 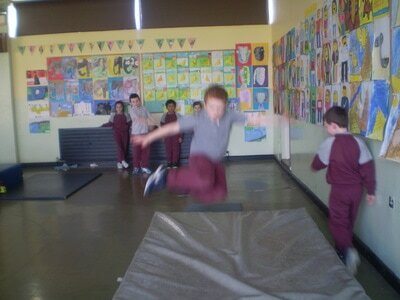 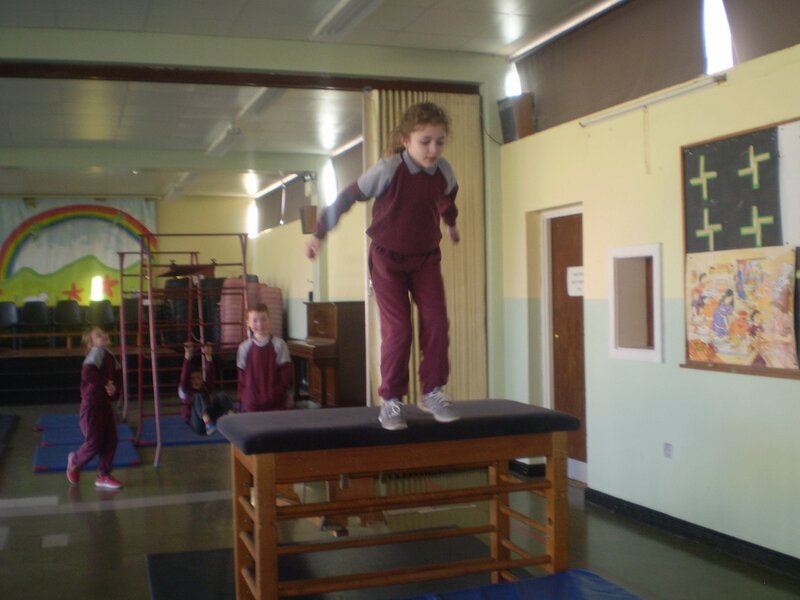 This term we are doing gymnastics in P.E. 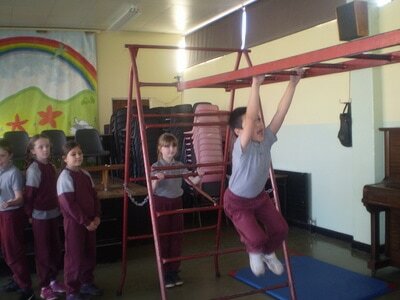 We are having such fun with all the equipment! 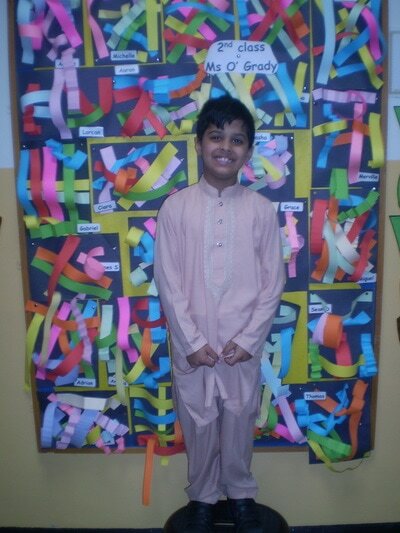 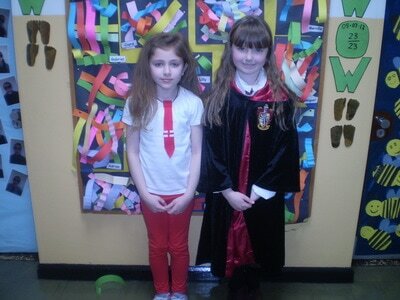 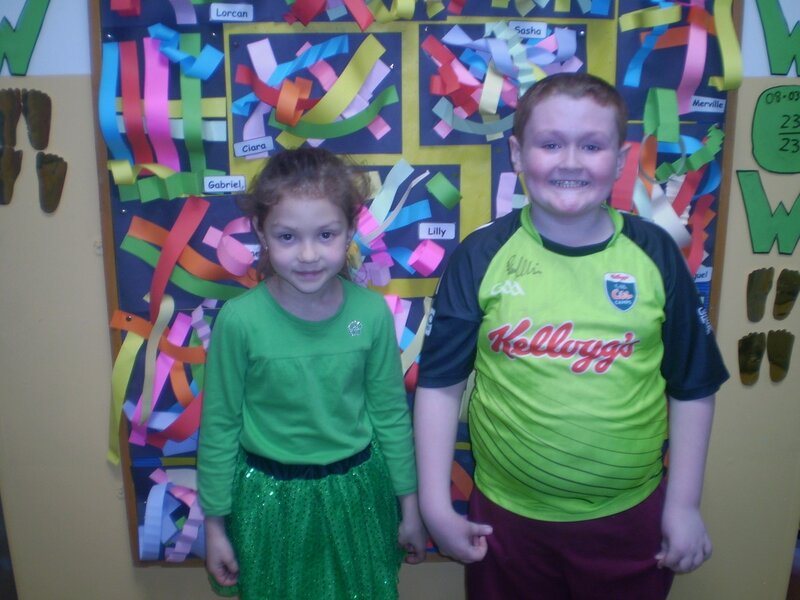 This week was Friendship week in school. 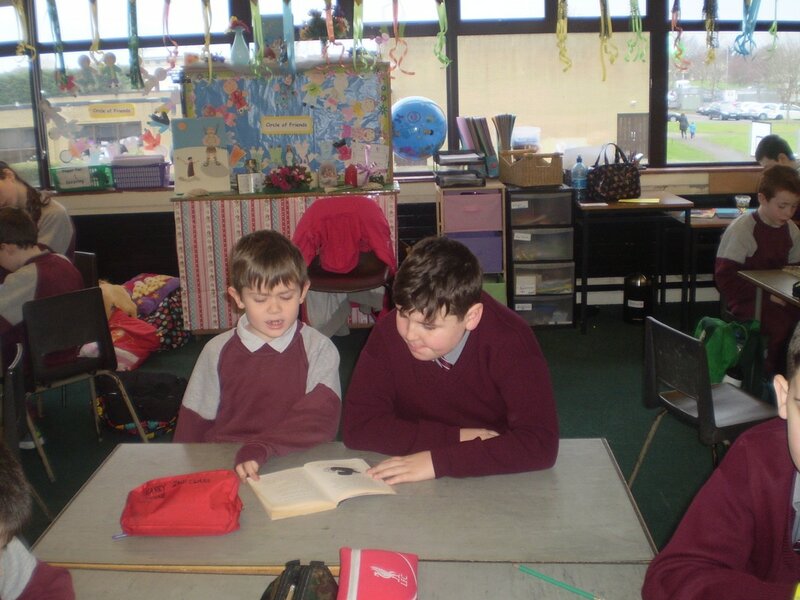 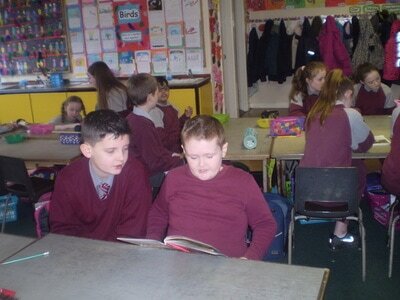 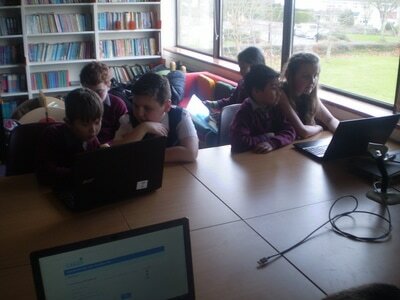 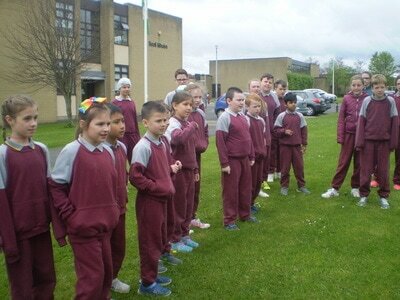 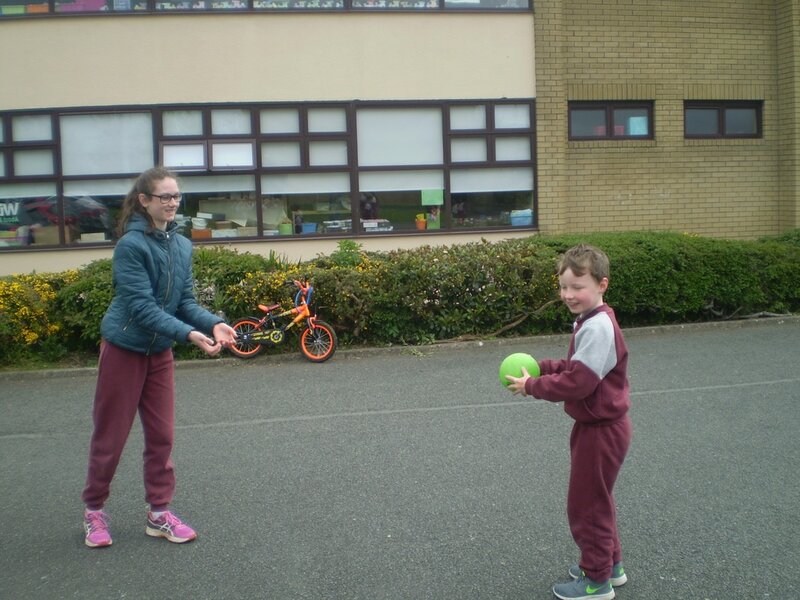 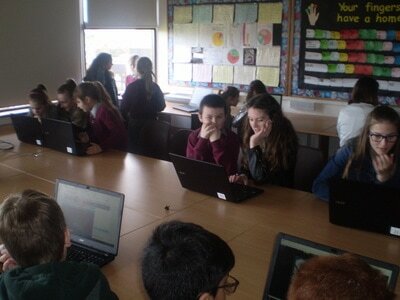 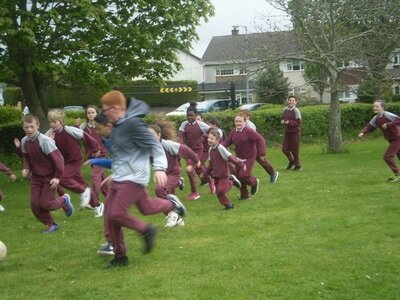 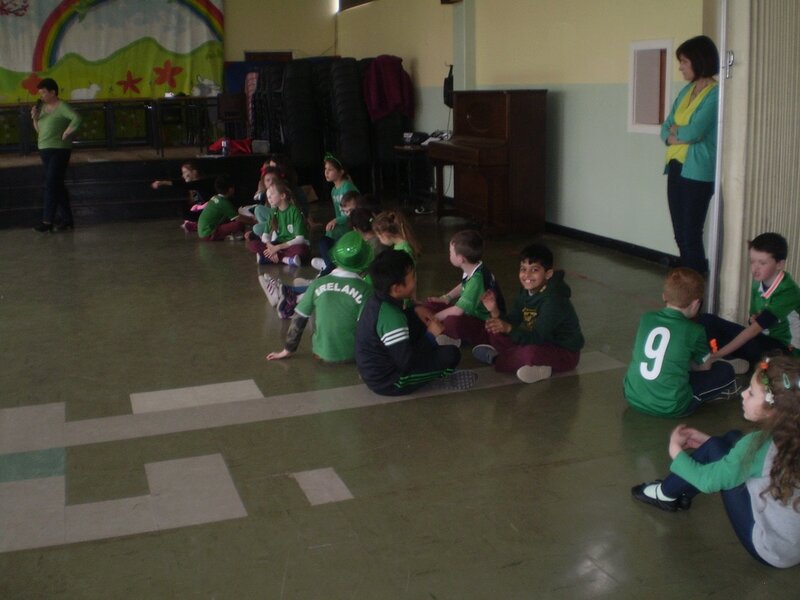 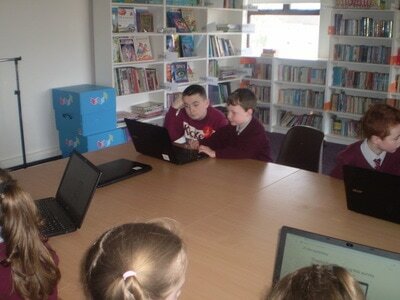 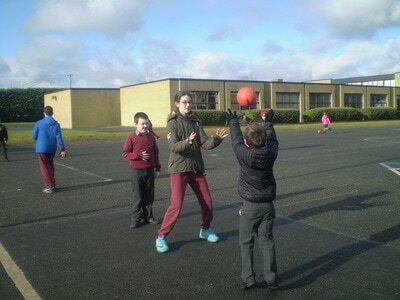 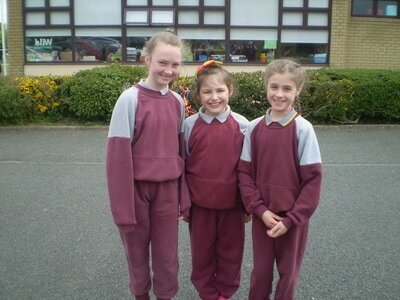 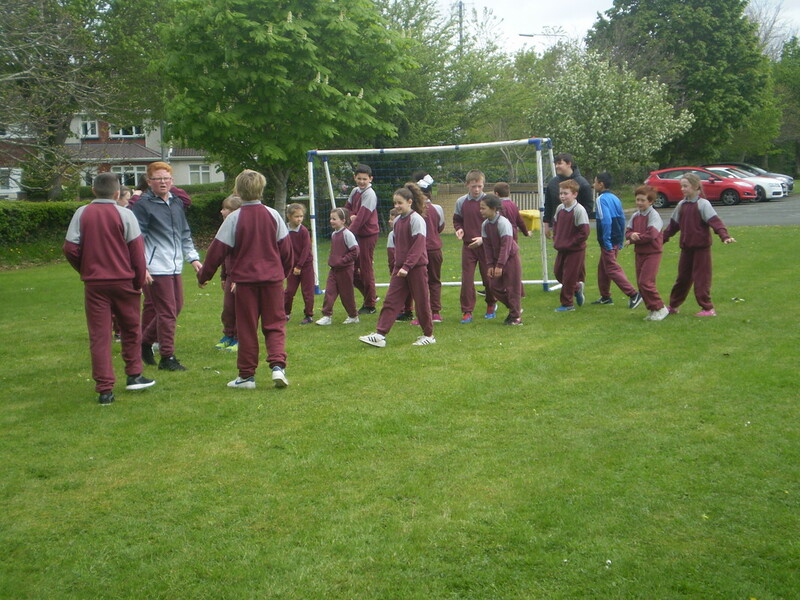 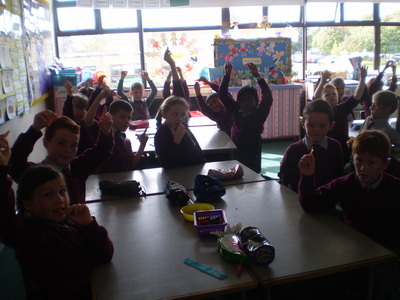 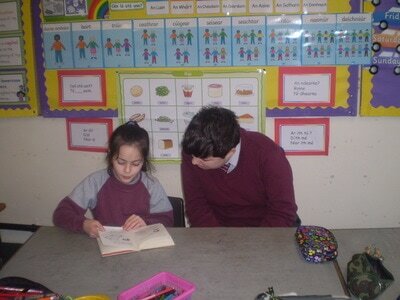 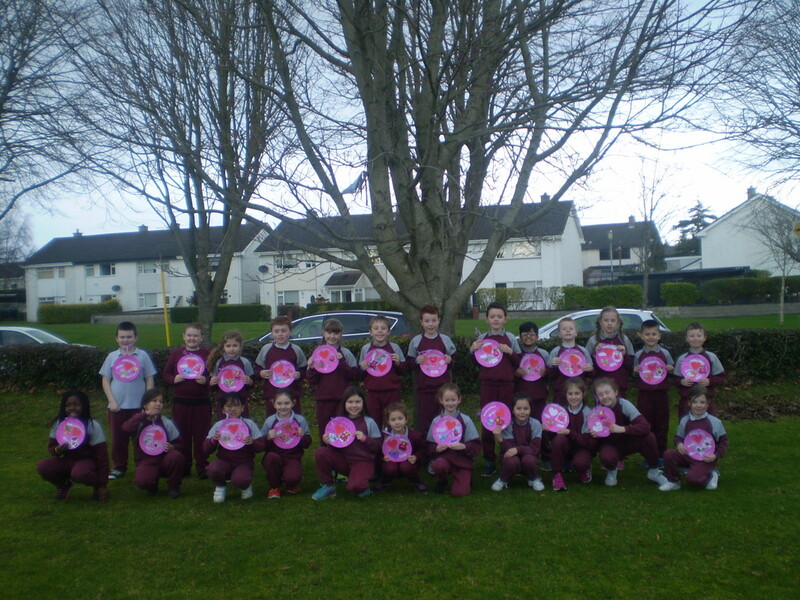 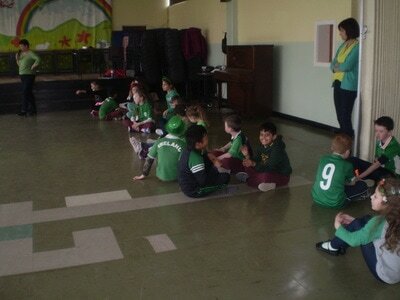 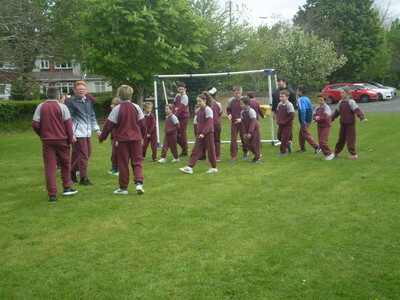 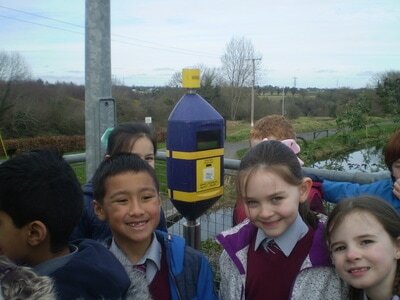 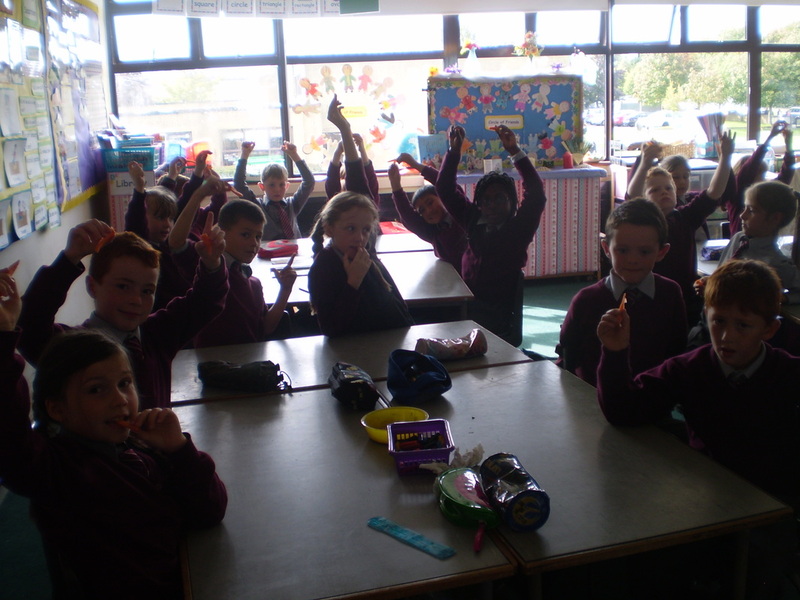 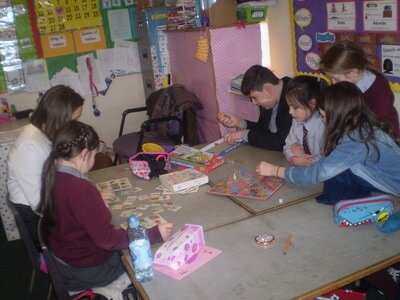 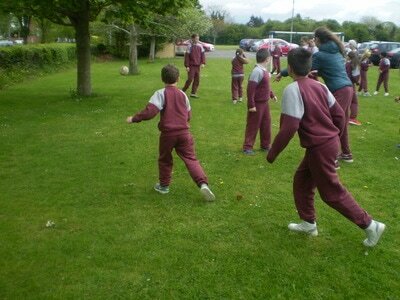 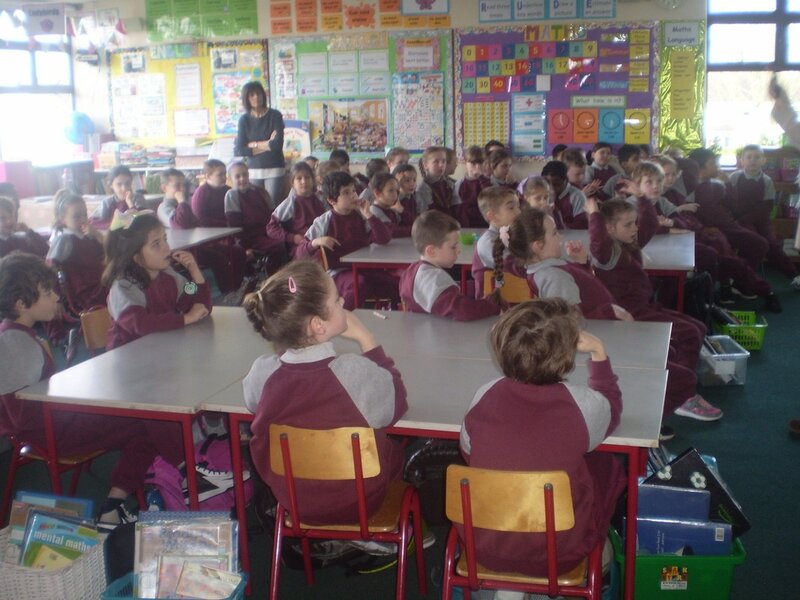 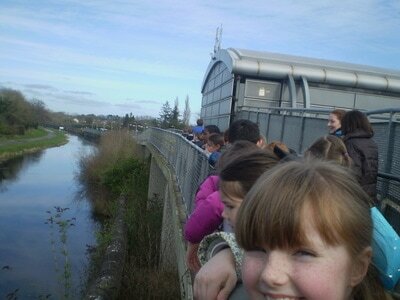 We were paired with Ms O' Mara's 6th class. 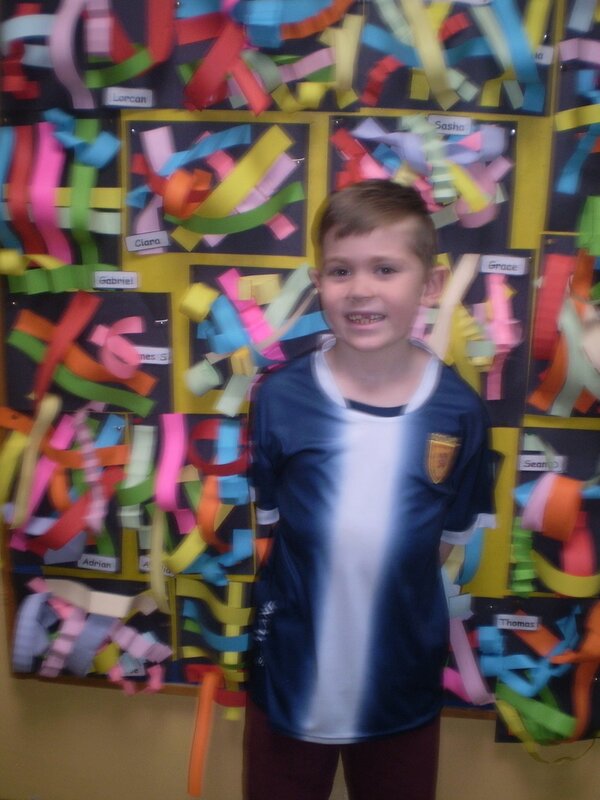 We all had a buddy from that class for the week. We read them our story books, we played ball games with them, we played board games and went to the computer room with them. 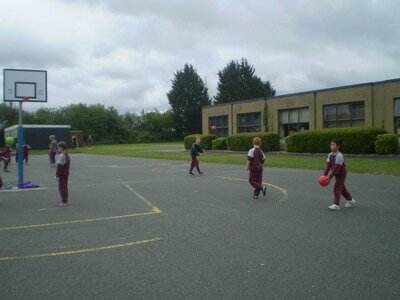 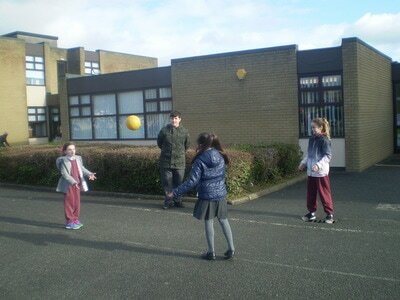 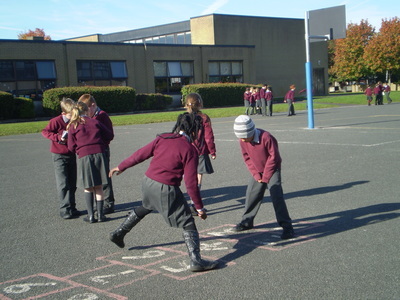 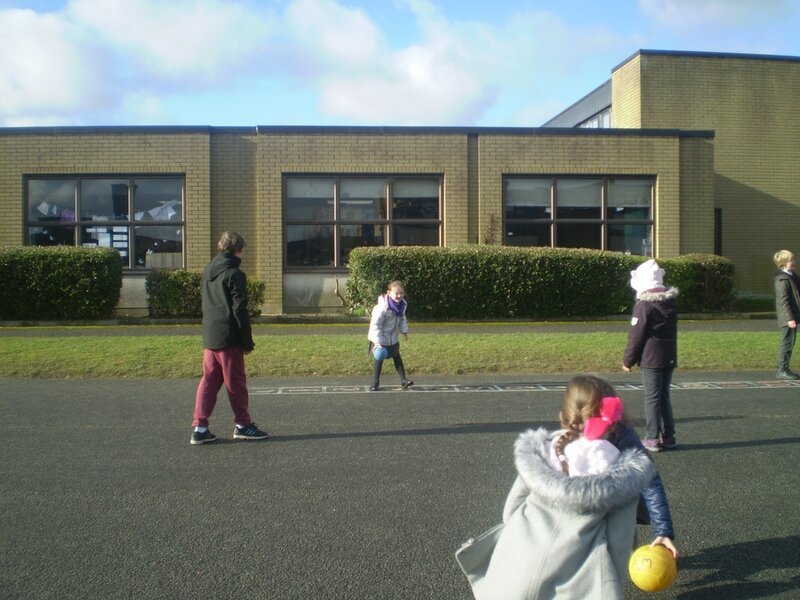 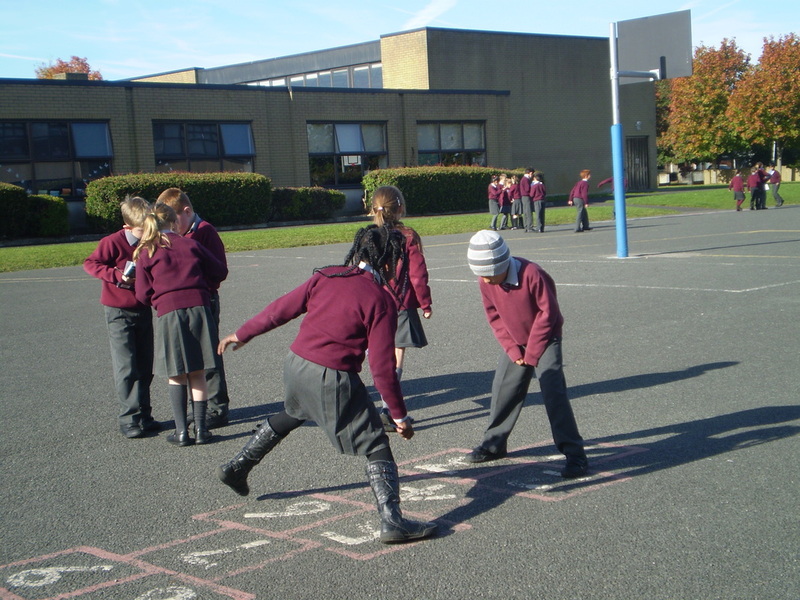 We also swapped yards for the week so we were able to play with our buddy's at break and lunch times. 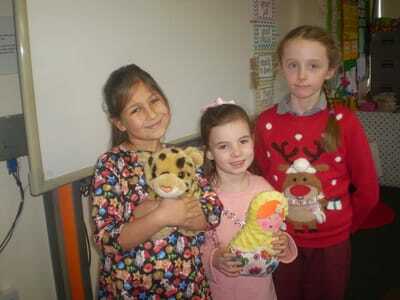 We also enjoyed having a secret friend in our class all week. 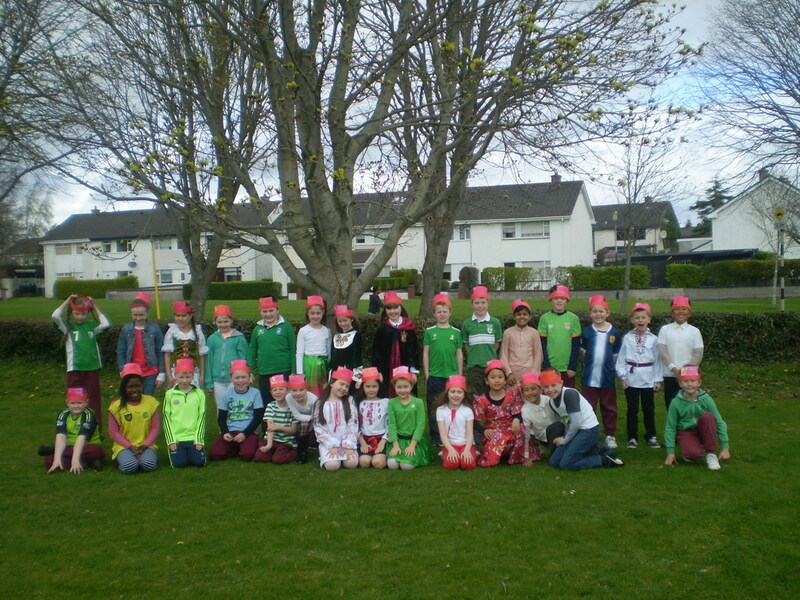 We had such an enjoyable week! 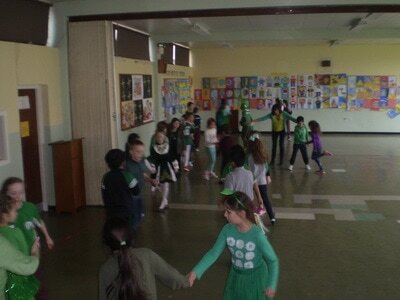 We were so lucky to have Mrs. O' Sullivan come back and do a céilí with us. 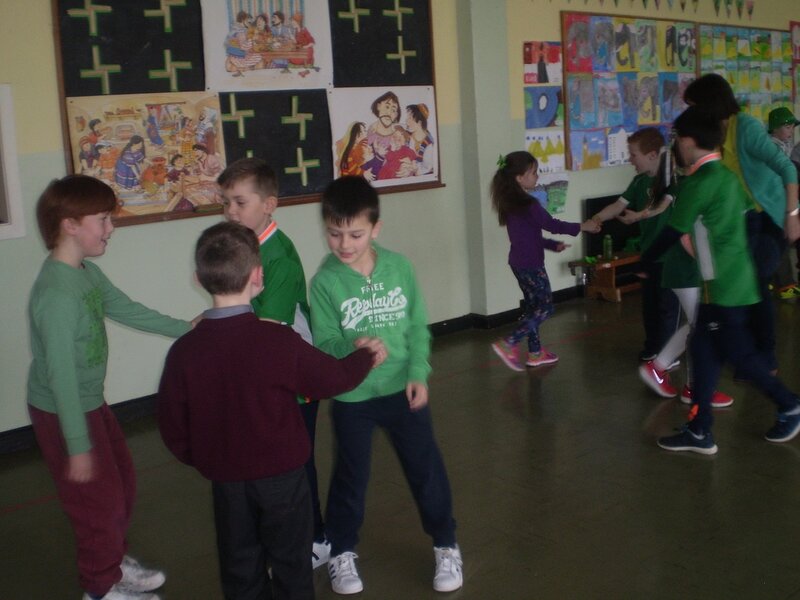 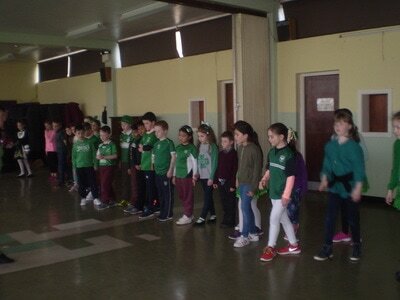 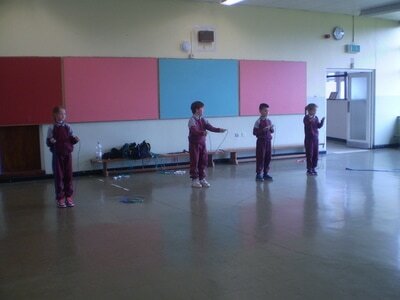 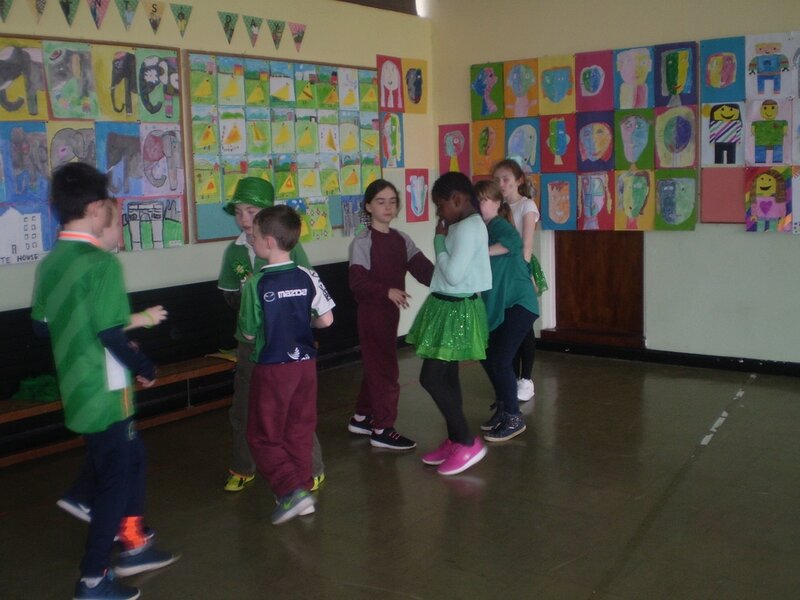 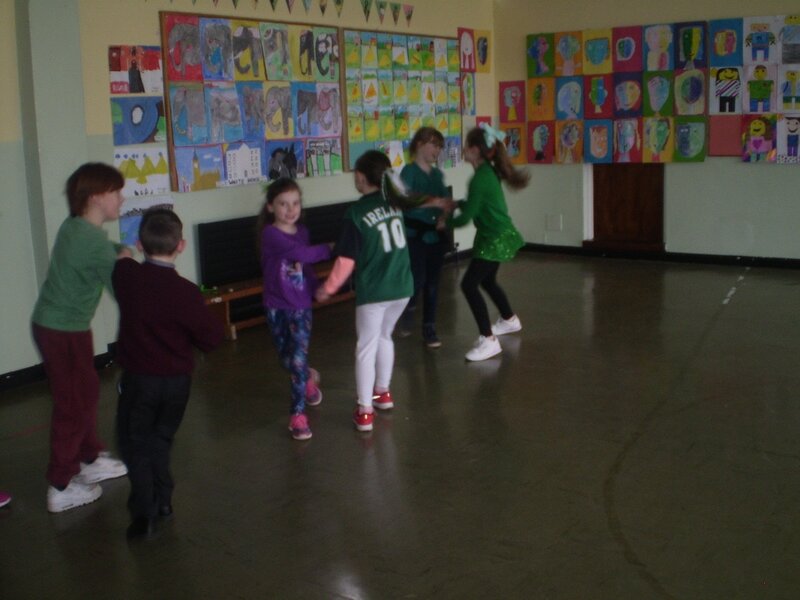 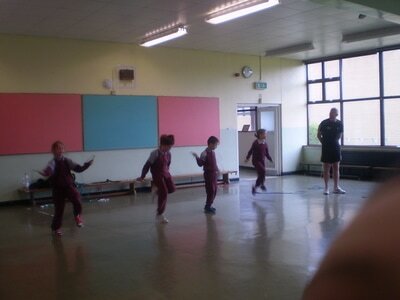 We had a brilliant time dancing with Ms. Dowling's second class. We did the 2-hand reel, Shoe the donkey, The Peeler and The Goat and Ballaí Luimní. It was such great fun, we loved Lá Glas! 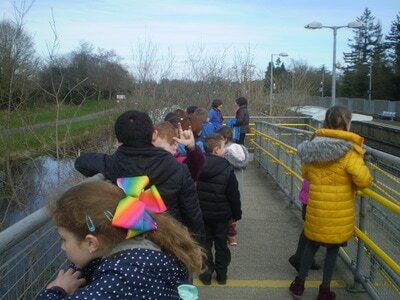 We had a lovely walk to the train station. 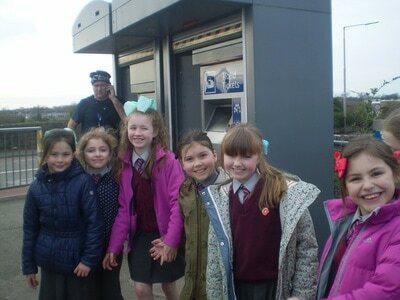 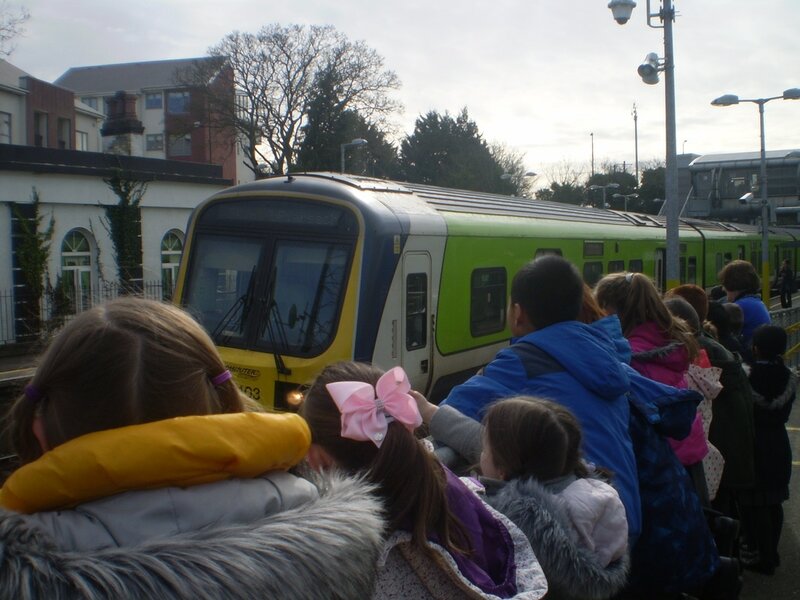 We had been learning all about trains so it was lovely to visit the train station. 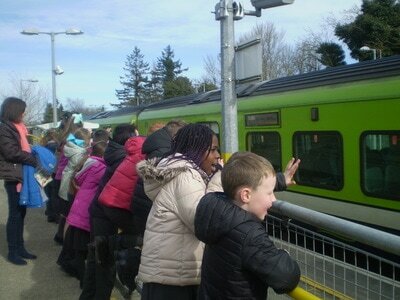 We were lucky that 2 trains came while we were there. 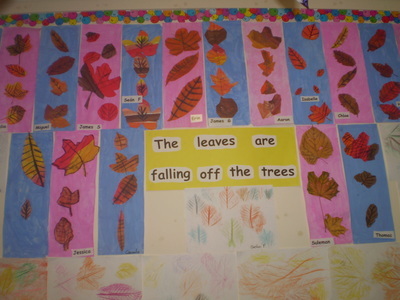 We also saw lots of signs of Spring. 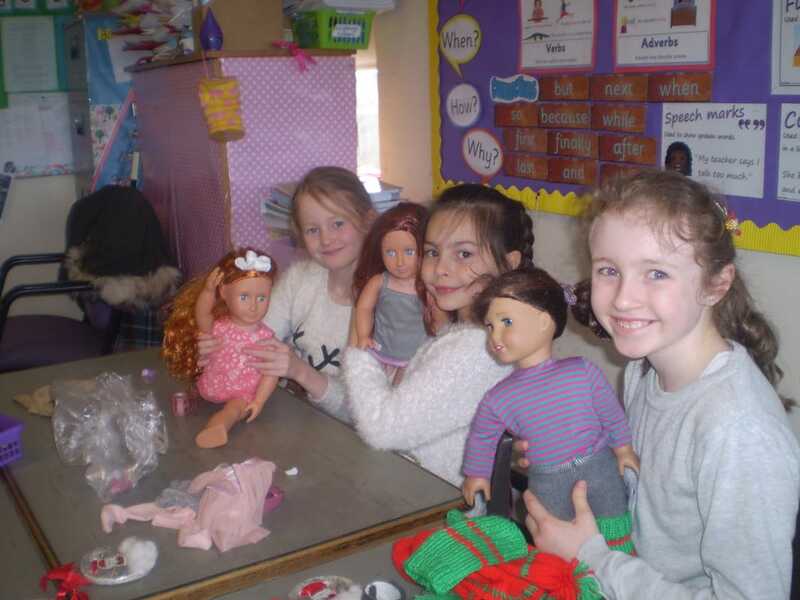 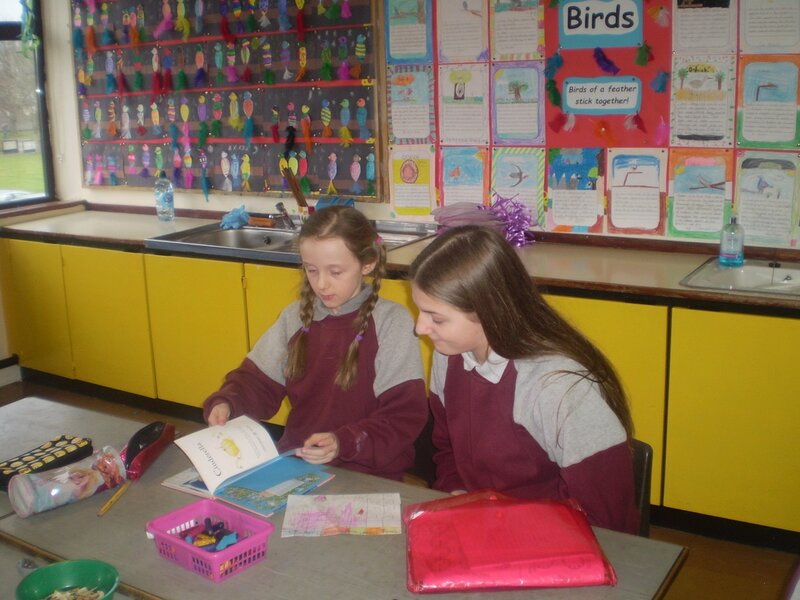 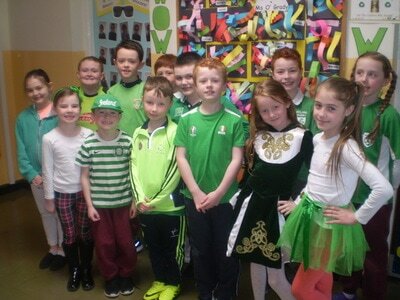 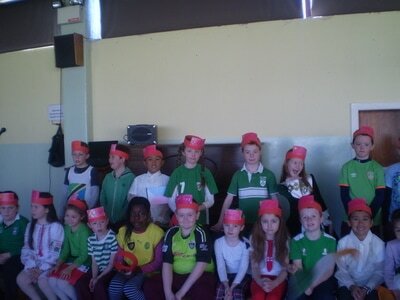 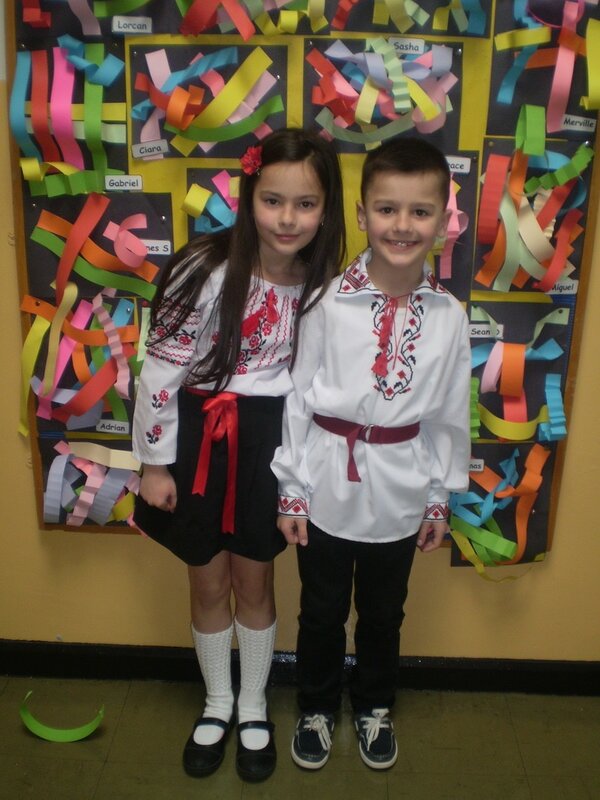 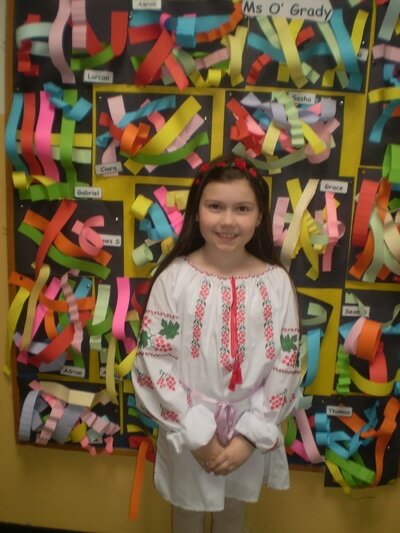 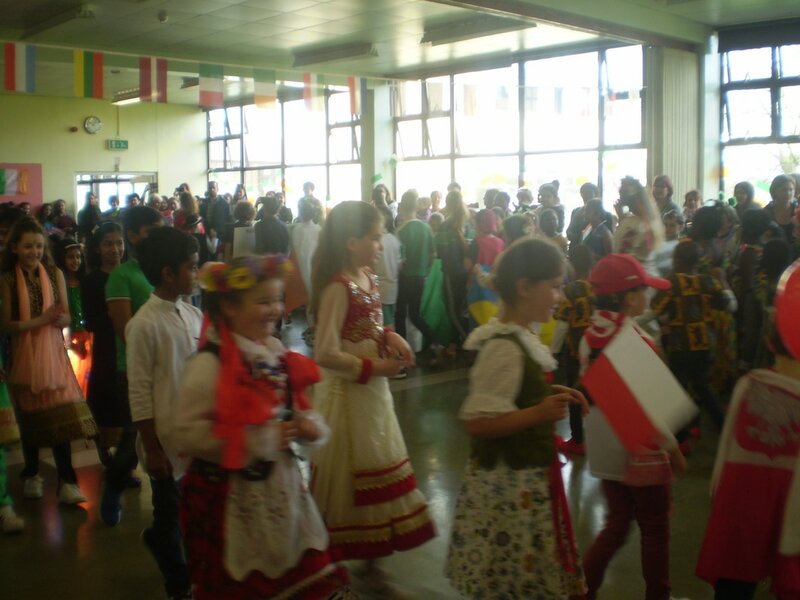 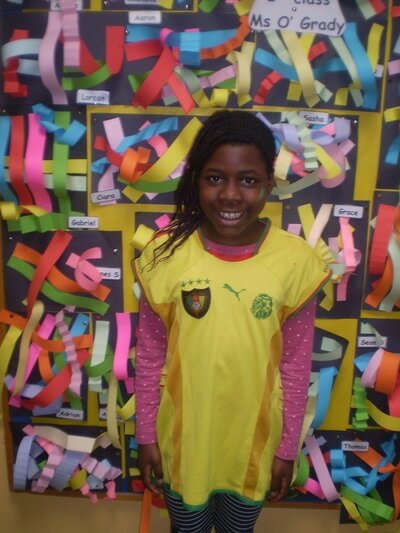 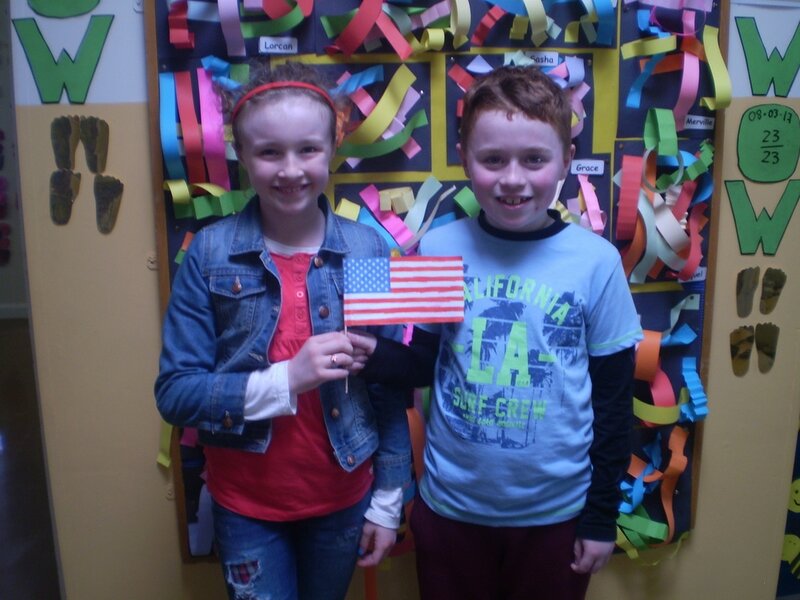 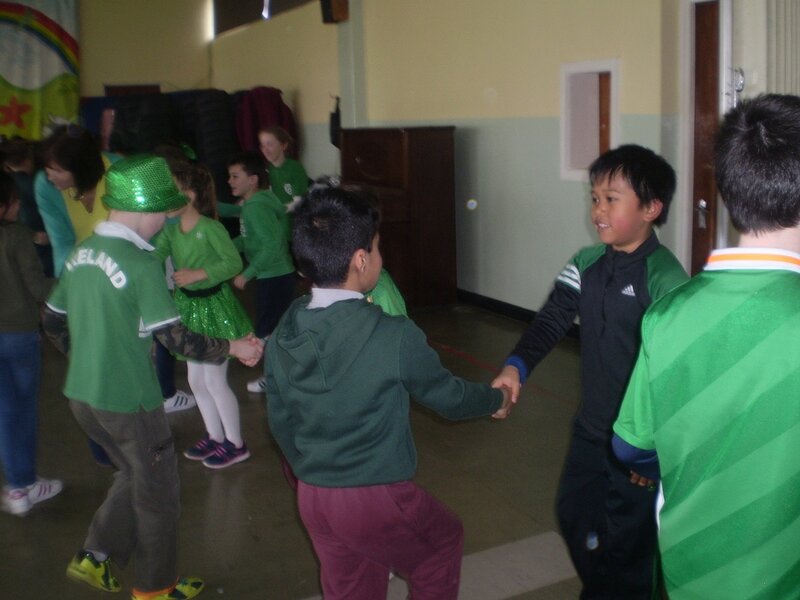 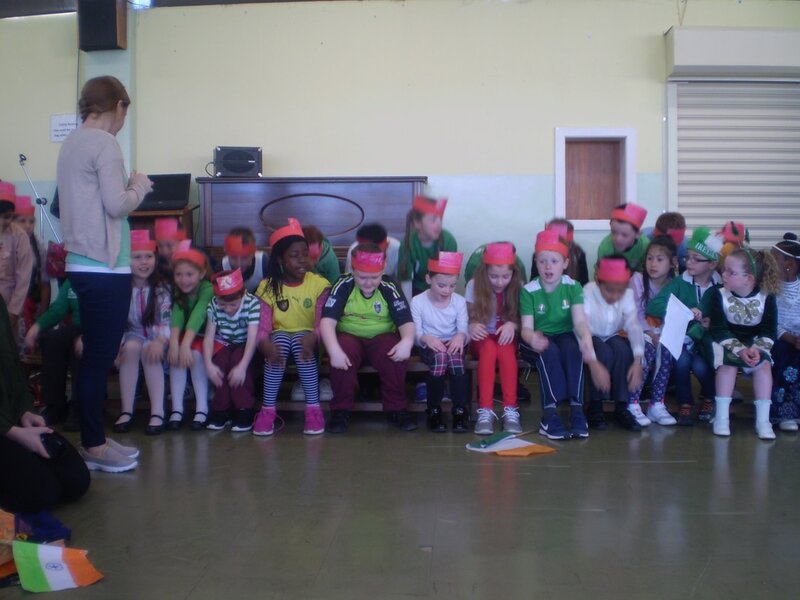 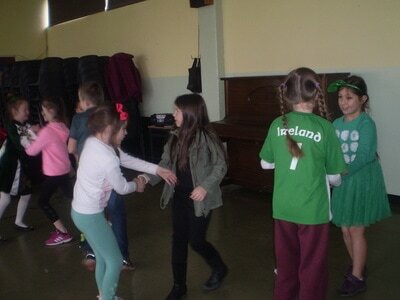 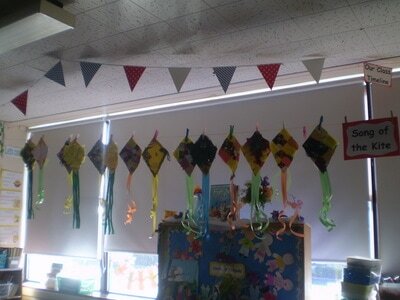 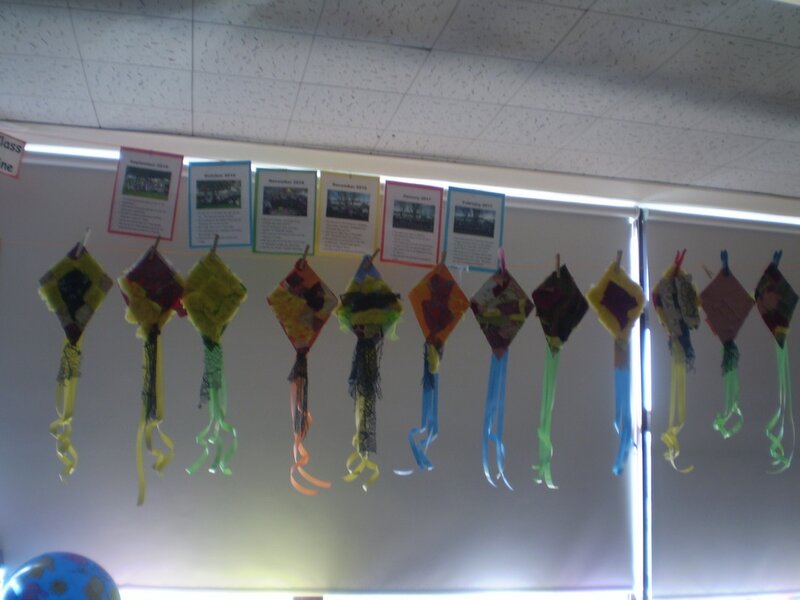 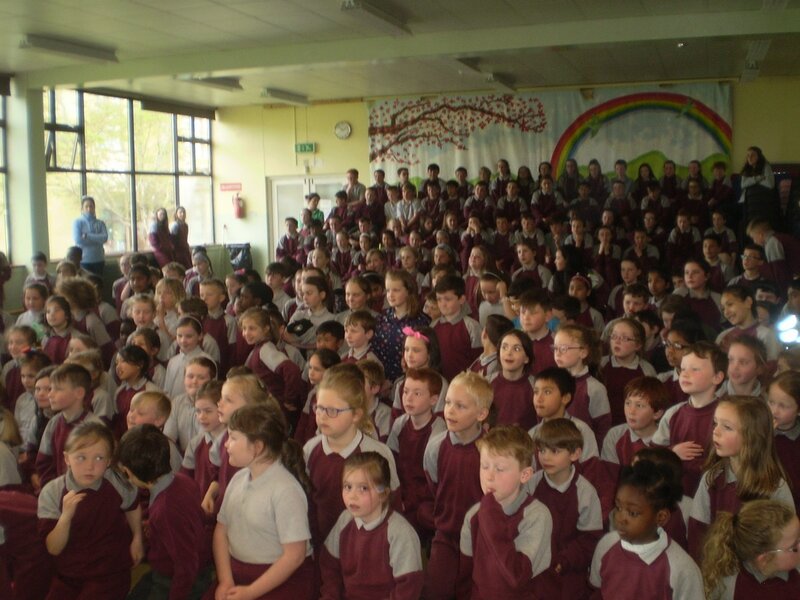 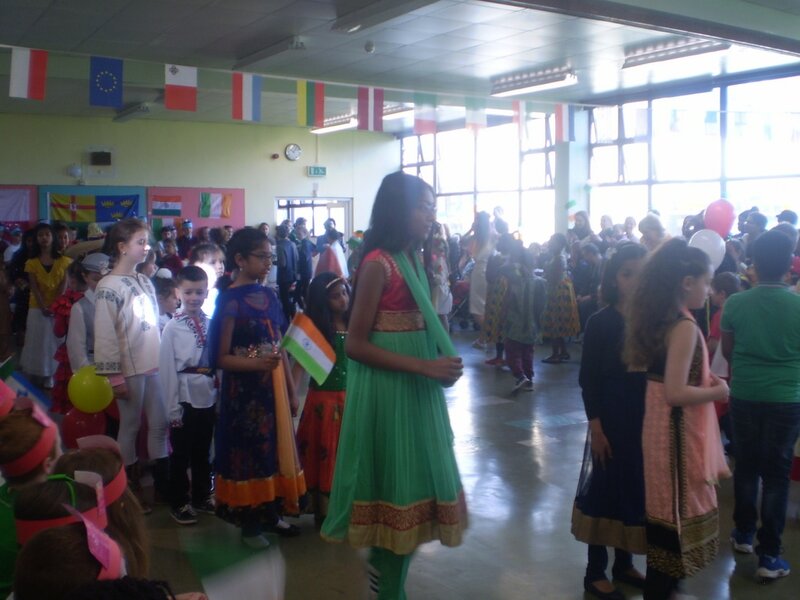 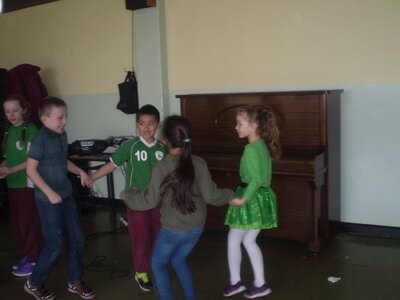 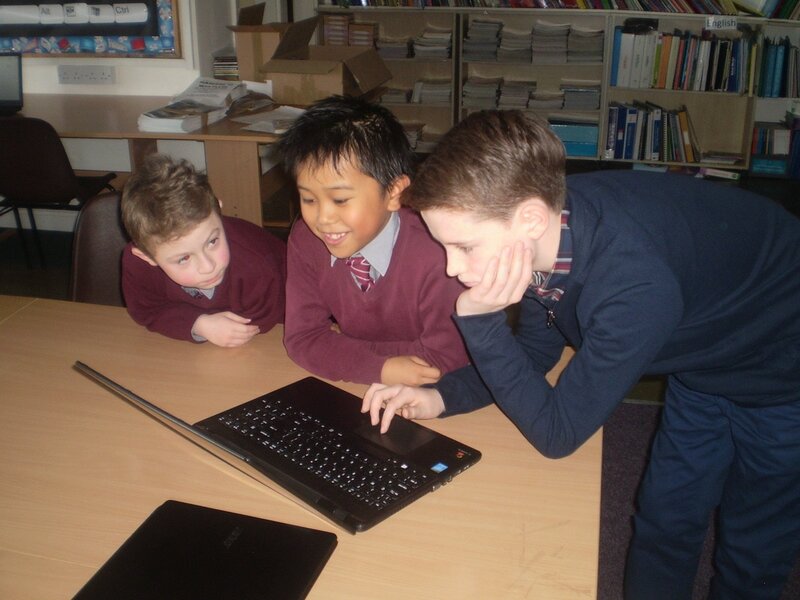 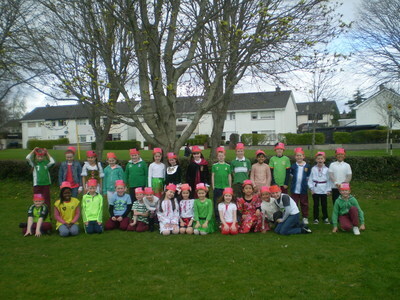 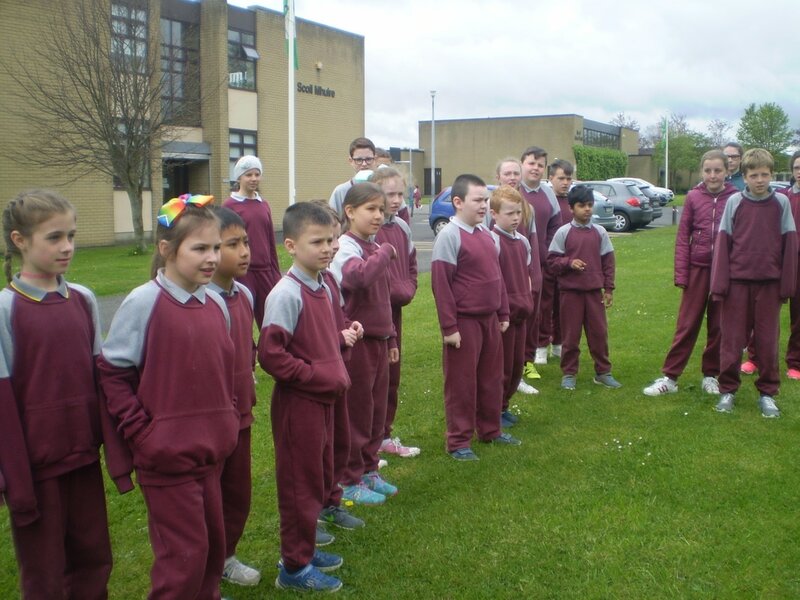 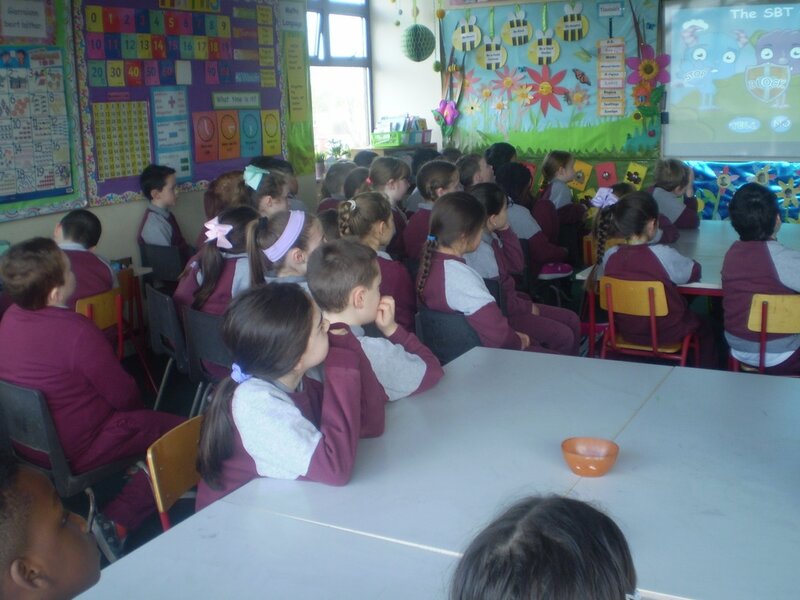 Intercultural Day in Scoil Mhuire was a great success for the 2nd year. 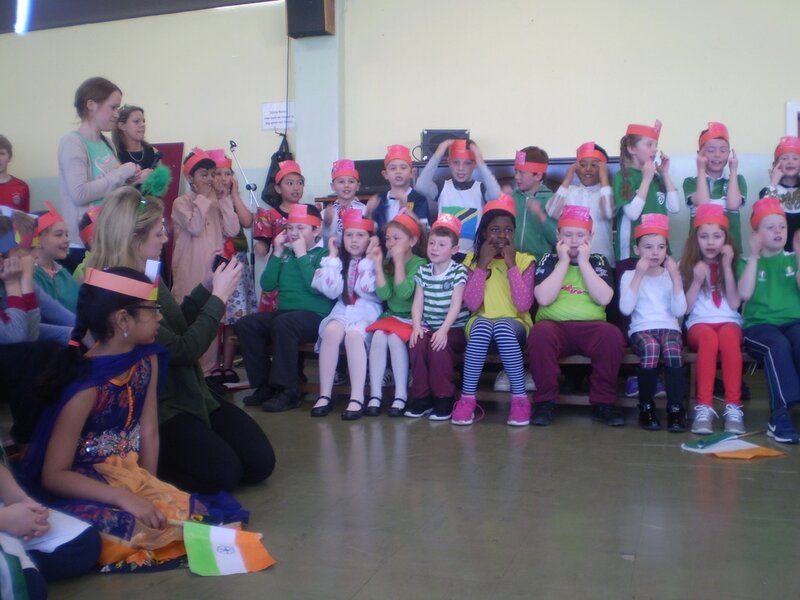 Our class chose China as our country to study and spent the last few weeks learning “Head, shoulders, knees and toes” in Chinese, which we performed at assembly. 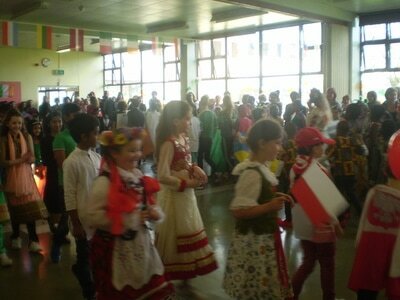 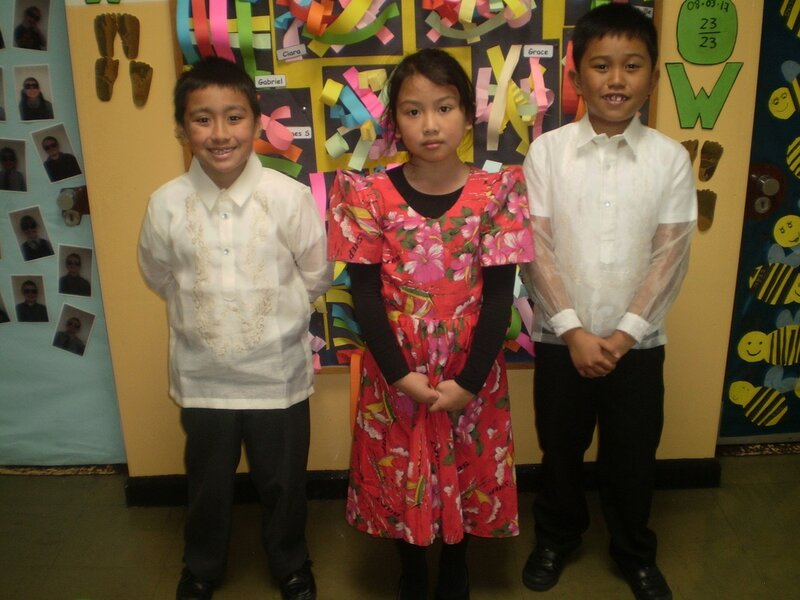 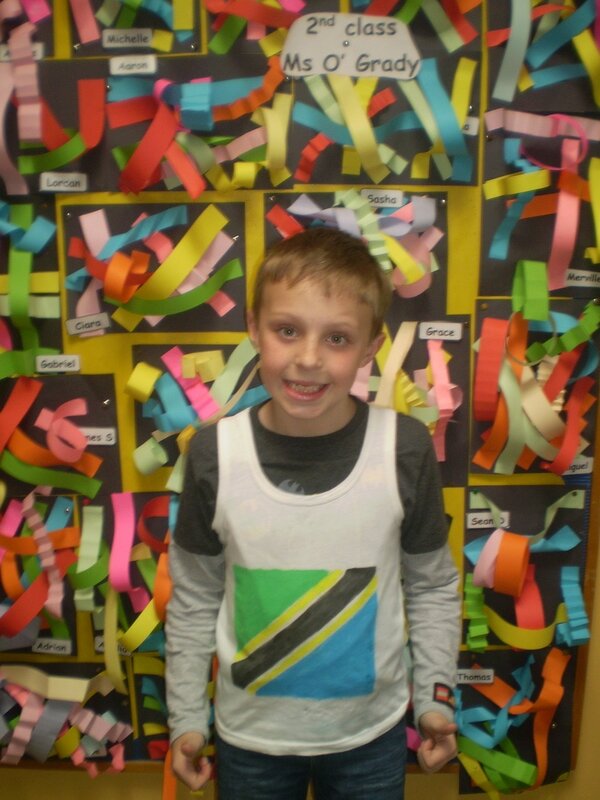 Before assembly, 5 members of our class walked in a parade representing the nationalities in our school. 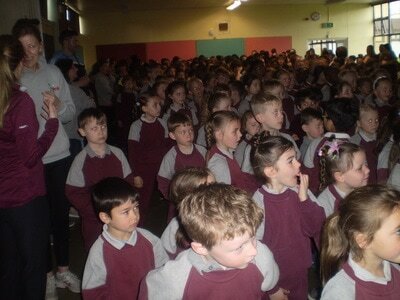 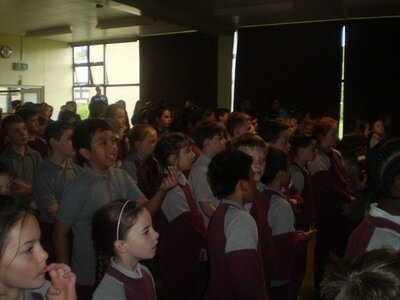 The rest of us cheered on our classmates and enjoyed the atmosphere. 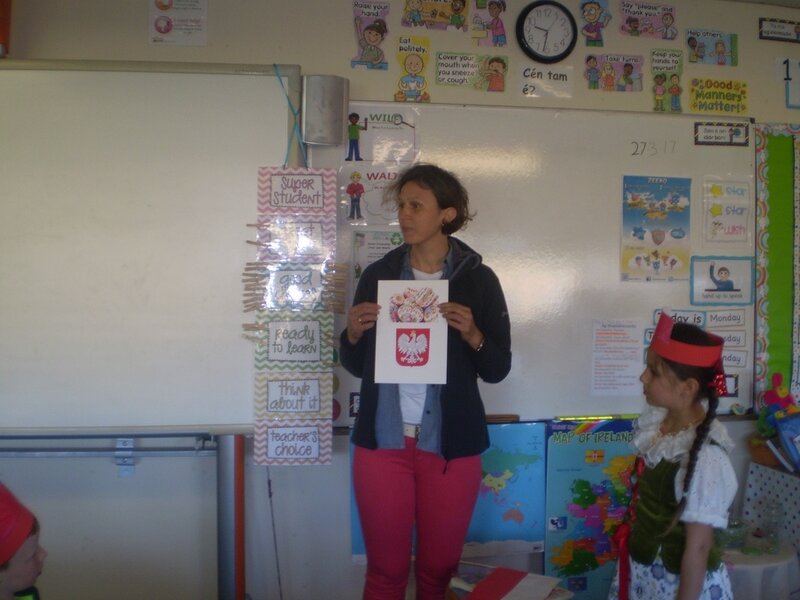 Thanks to Amelia's Mam who came in and told us all about Poland and brought in some lovely Polish food. Thanks also to Alina’s Mam for sending in some Russian food for us to taste and to Gabriel and Michelle’s family for bringing in some Moldovian food. 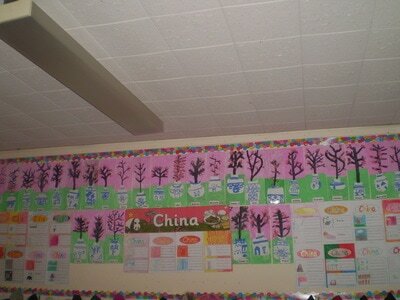 It all tasted delicious. We had such a fun day!